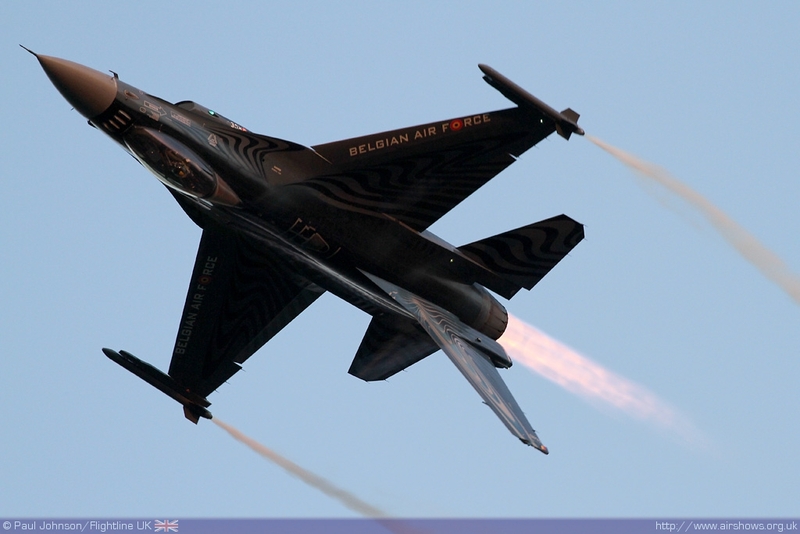 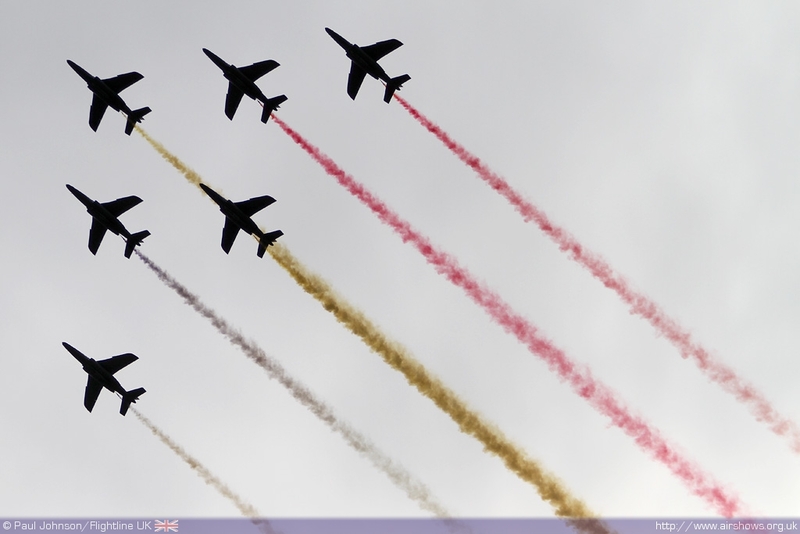 2011 marks the 65th Anniversary of the Belgian Air Force. 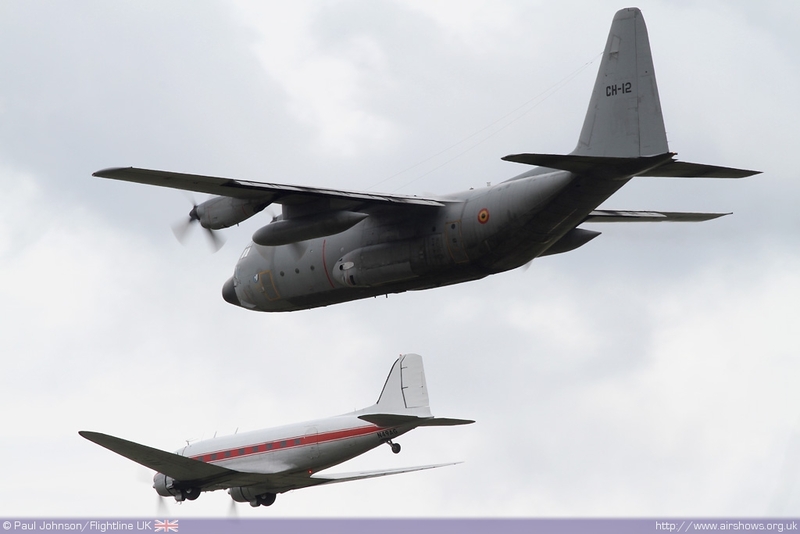 Though the Air Force no longer exists as a separate arm of the Belgian military and is now known as the Air Component (COMOPSAIR), it still is one of the most important NATO Partners supporting operations around the globe. 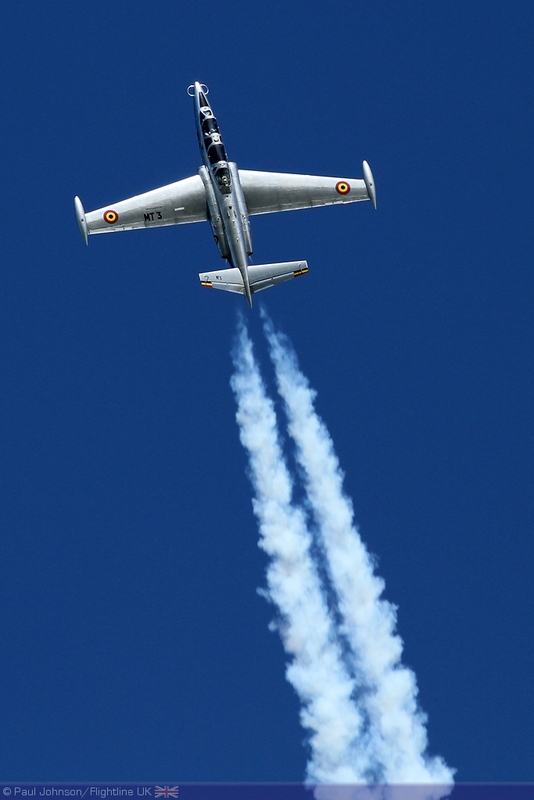 Each year, the Belgians organise a major military airshow at one of their major bases. 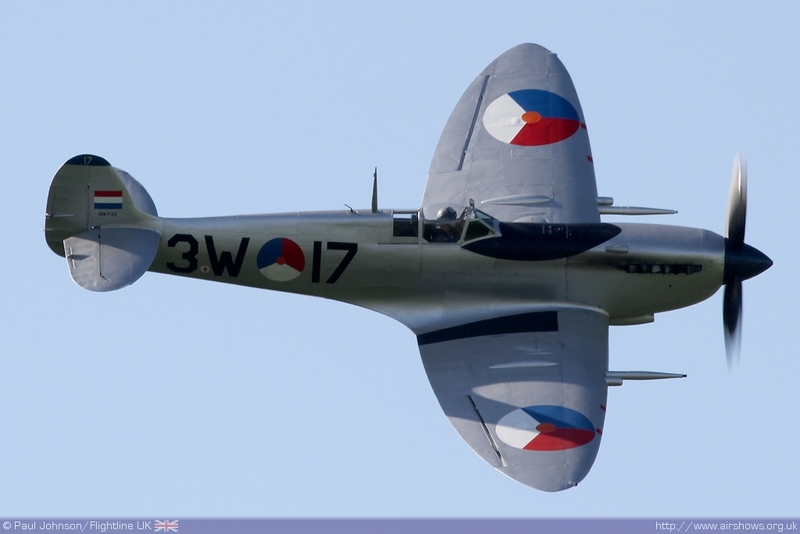 2011 was the turn of Koksijde on the Channel Coast and within easy reach of the UK. 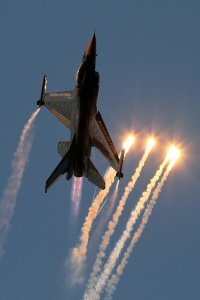 Unusually the show took place during the working week, but still attracted large crowds for 9 hours of flying displays on both days. 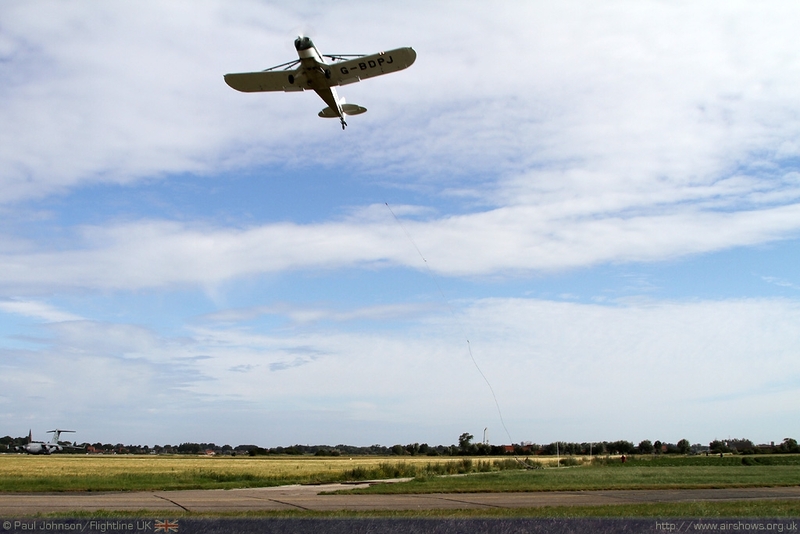 Koksijde is a huge airfield; in fact it is so large that the areas between the runways and taxyways are used to growth quite substantial crops! 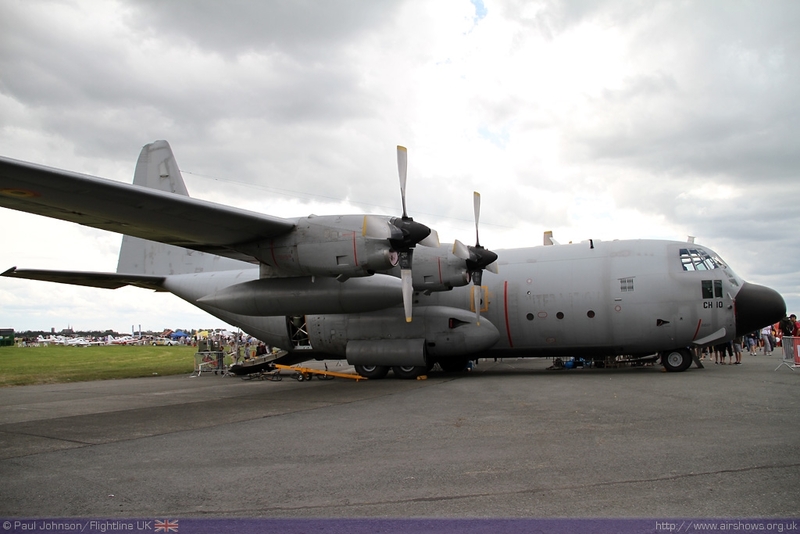 The show site however was concentrated on the main camp side of the aerodrome was no larger than that for the Biggin Hill Air Fair or Kemble. 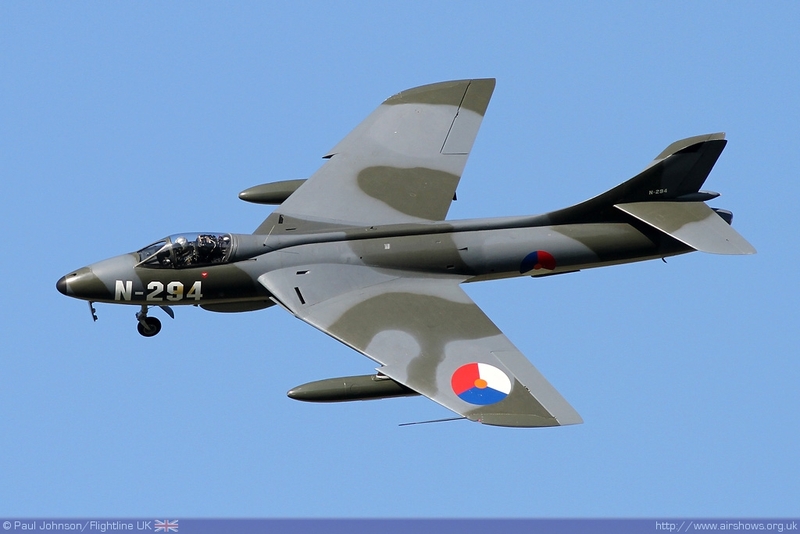 For the UK visitor, Koksijde is very close to the Channel Ports. 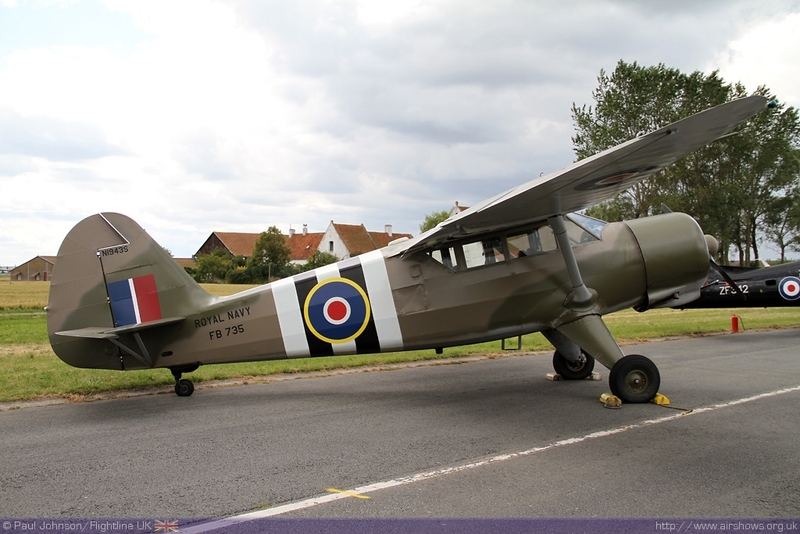 It was just under a one hour drive from the Eurotunnel terminal and therefore much less from Dunkirk. 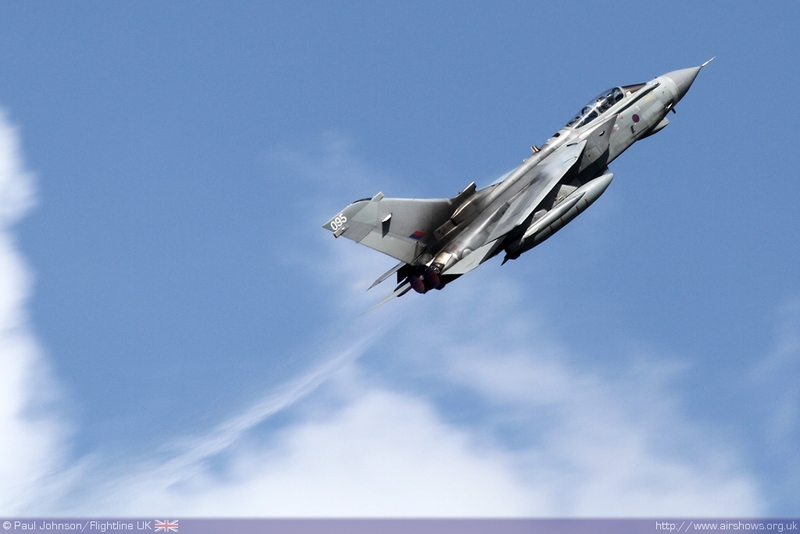 In fact for many in the South East of the UK, it’s probably closer than Fairford or Waddington!! This year, the show boasted over nine hours of flying on both days of the show. 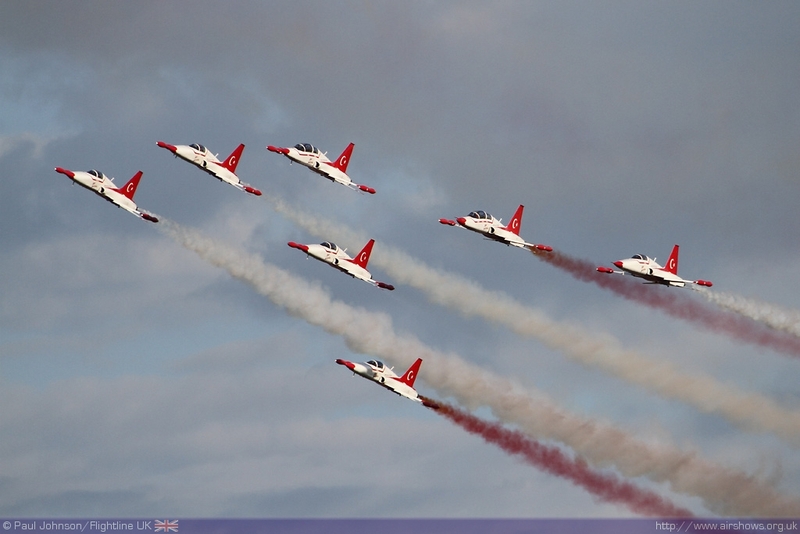 It did however attract many more display acts than that could be fitted into nine hours hence many teams only displayed on one of the show days. 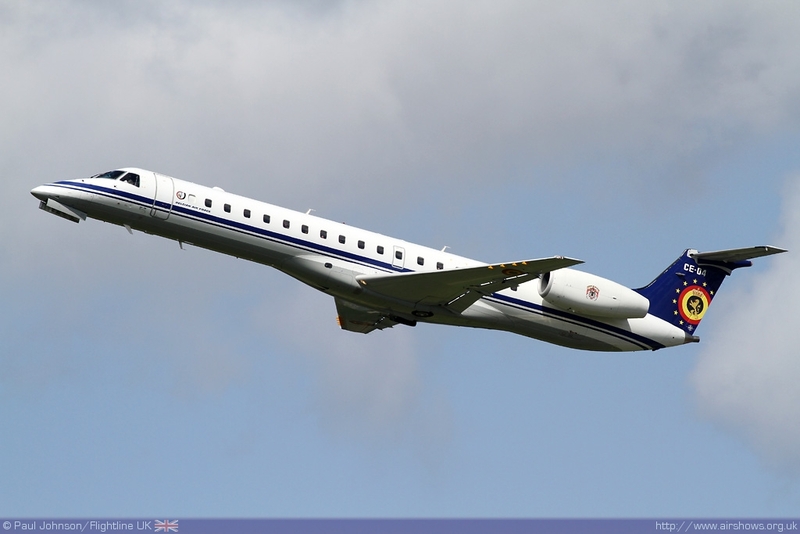 Unusually there were three breaks scheduled into each day allowing the public to take pleasure trips in a Belgian Air Component Embraer ERJ-135, Sea King Mk48 or Alouette III – not something we see much at UK military shows! 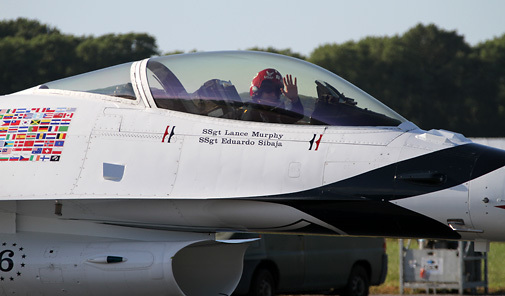 Also, the first day of the show started later and finished at Sunset – it was an inspired idea and worked really well creating some superb photographic opportunities, particularly for the national display teams that appeared later in the programme. 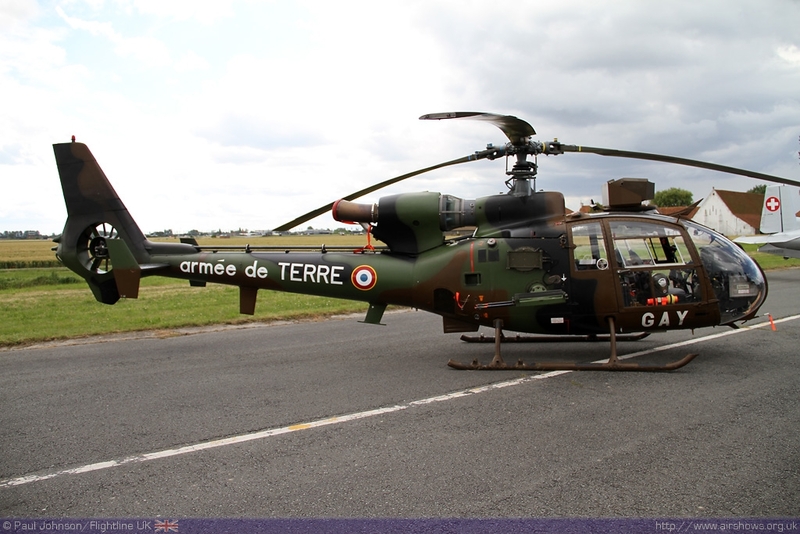 The show-ground, and particularly the flightline were slightly strange. Firstly the main runway for the show, though it ran parallel to the display line as with most airshows, was a good 500m from the crowdline. 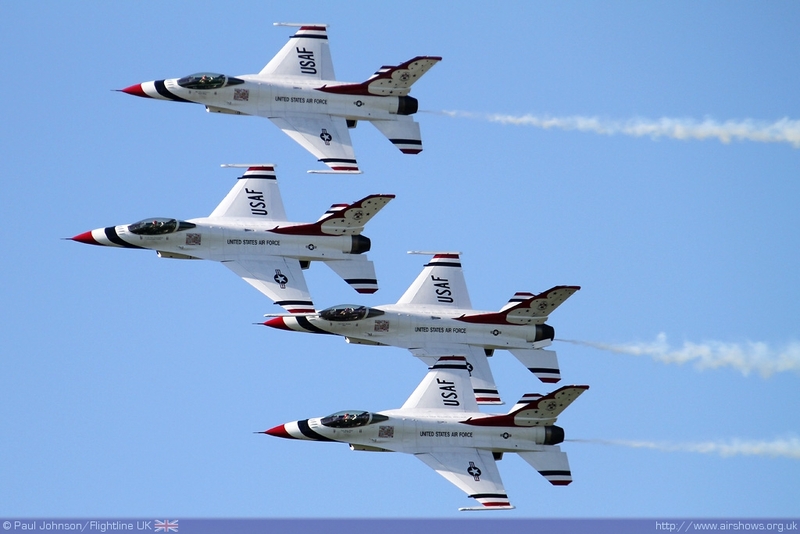 Secondly the crowdline was not one continuous line. 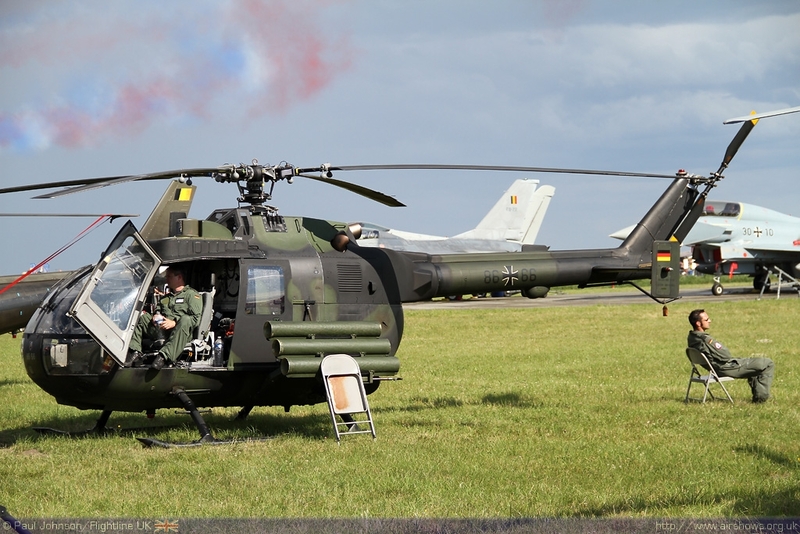 At one end of the flightline there was a large viewing “lawn” area which was very popular both days with the spectators. 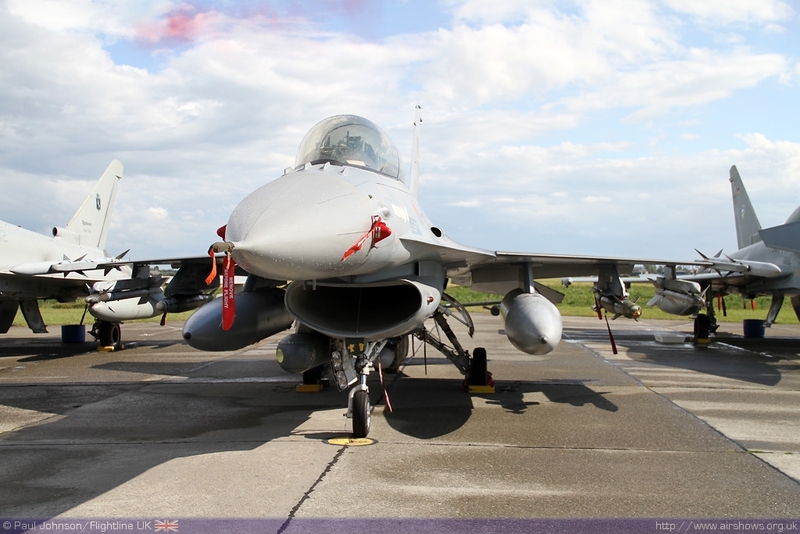 The rest of the flightline was even further back to accommodate some of the static display aircraft and enclosures. 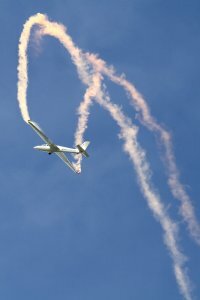 Some static aircraft sat on the grass while others were parked around little peninsulas of hard standing that brought the crowds slightly closer to the display lines; as you can imagine these were very crowded areas during the flying displays even though people were watching through large helicopters. 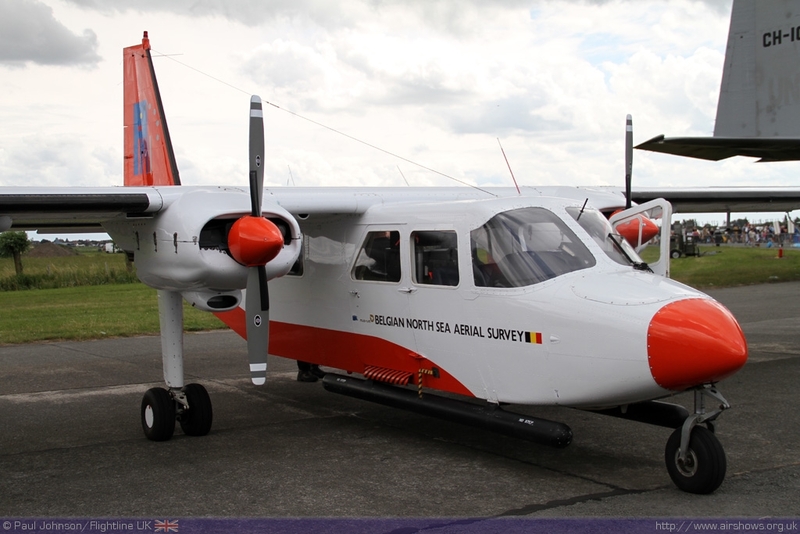 Koksijde itself is home to the Belgian Air Component’s Search and Rescue operations being one of its closest bases to the English Channel and the North Sea. 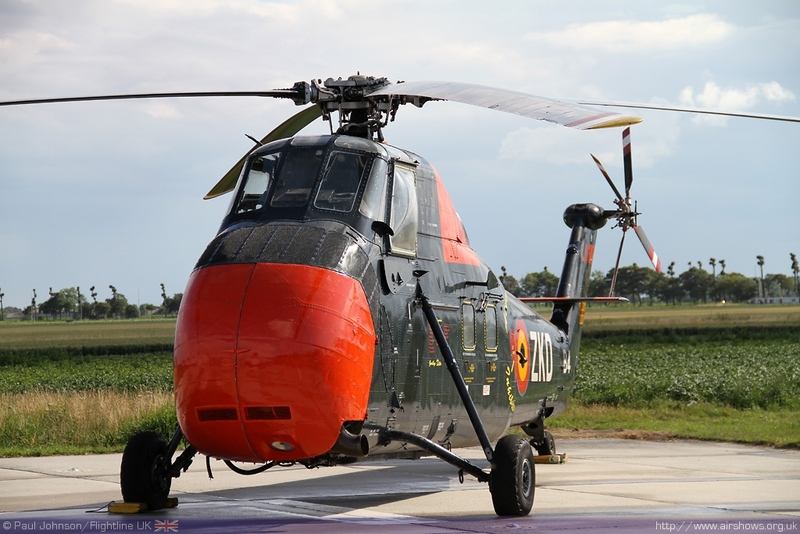 The unit based at Koksijde is No 40 Squadron which operated the country’s very distinctive Westland Sea King Mk48 helicopters that have been regular visitors to UK shows. 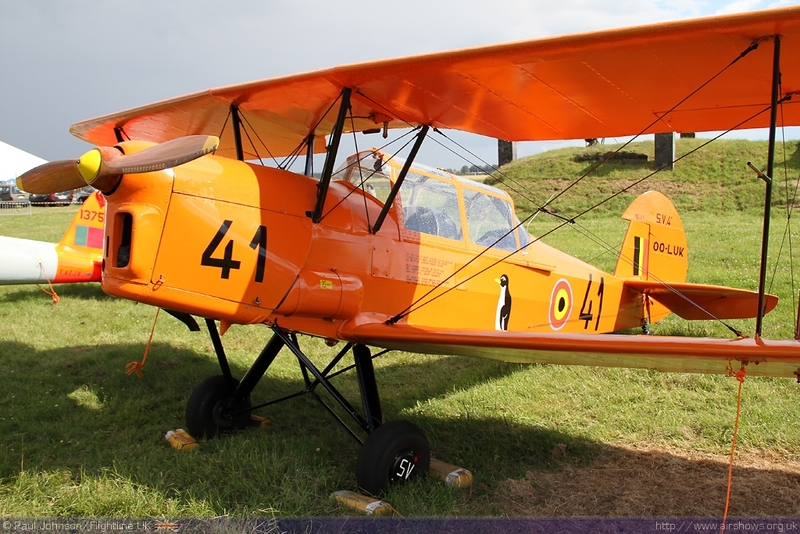 Their aircraft naturally featured heavily in the day’s proceedings in the air and on the ground. 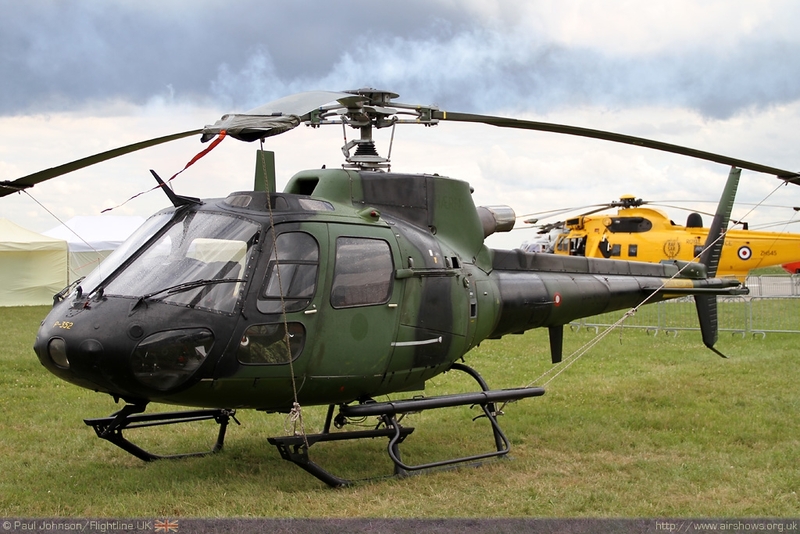 In the static park there were other examples of SAR helicopters. 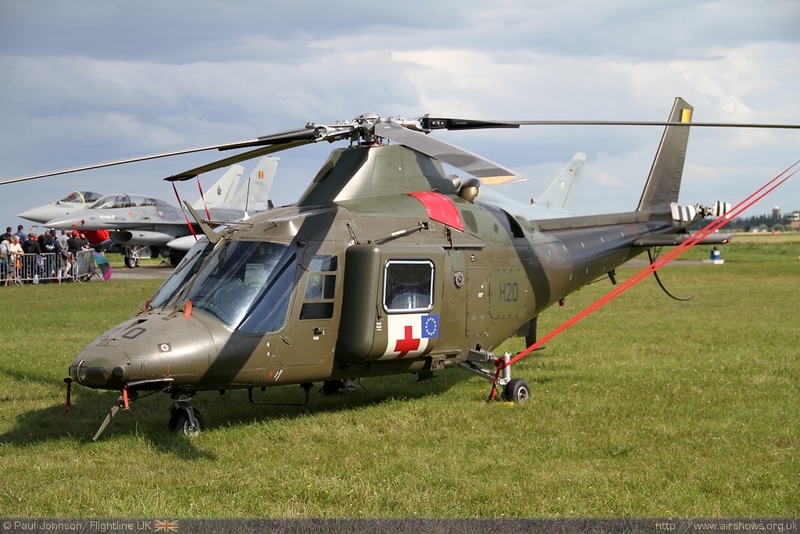 An historic Belgian Air Force Sikorsky S-58 was joined by modern machinery from around Europe to create a themed area of the static which featured several types that to our knowledge have not ventured across the channel for events. 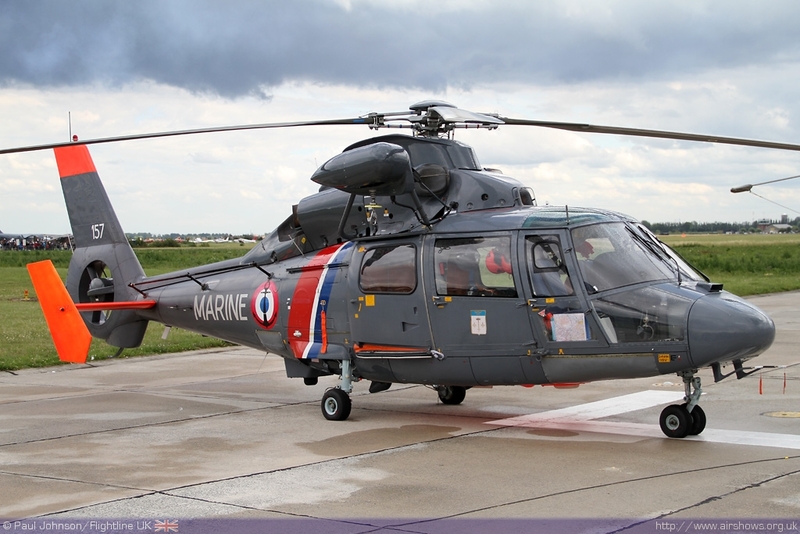 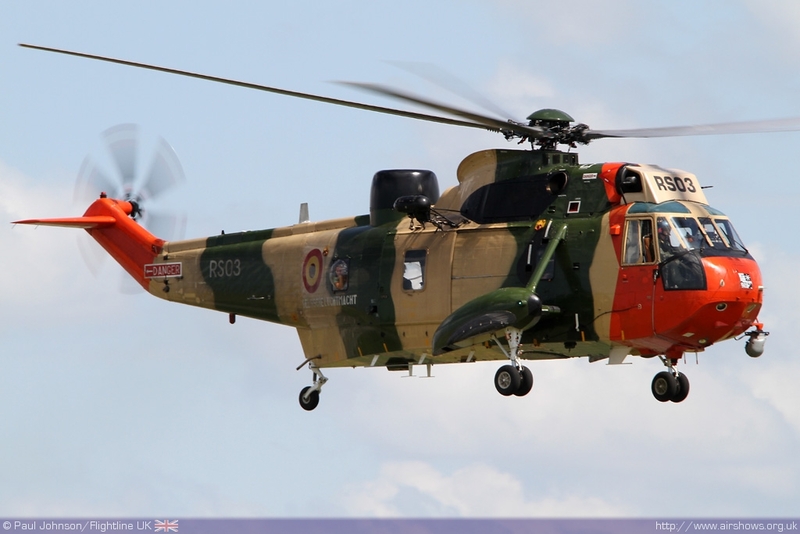 The line-up included a French Navy Panther, Royal Netherlands Air Force NH90 and RAF and Belgian Sea Kings. 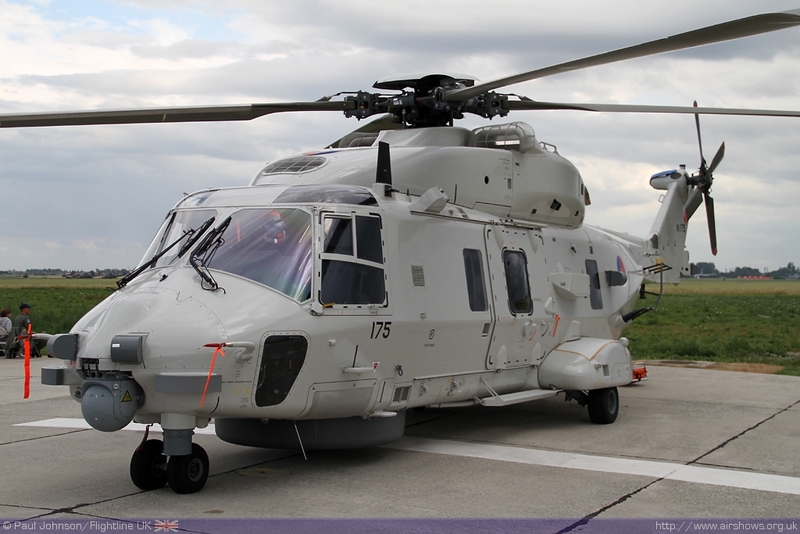 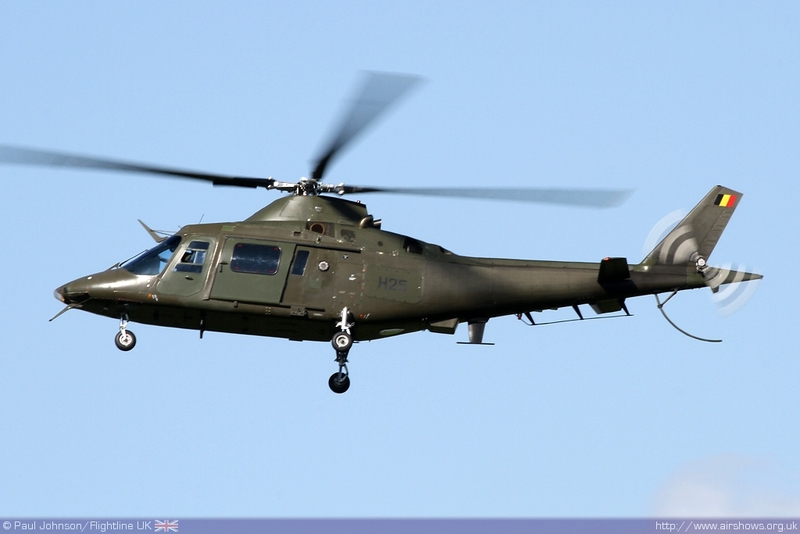 Elsewhere there was a MEDEVAC configured Belgian Air Component Agusta A109, Danish Fennecs, Royal Netherlands Air Force Alouette III, Austrian Alouette III, Royal Navy Merlin HM1 and a Polish Navy Mil Mi-8. 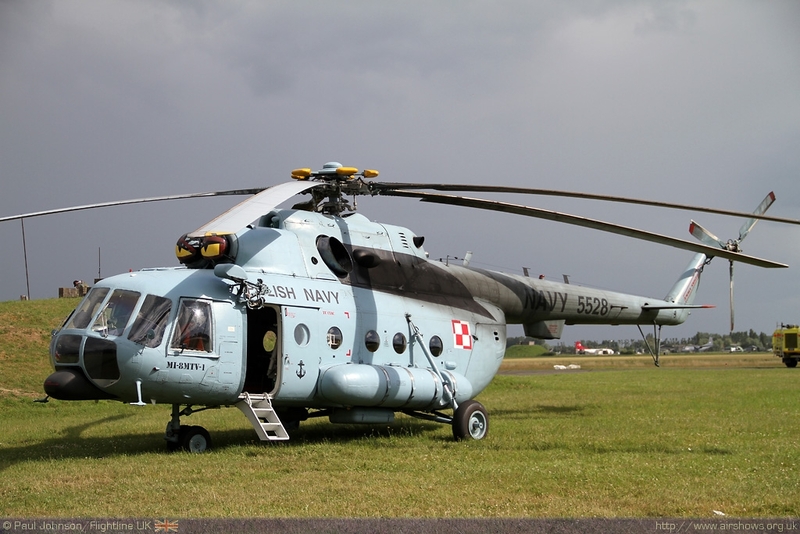 It was good see some very rare Eastern European participants in the static park. 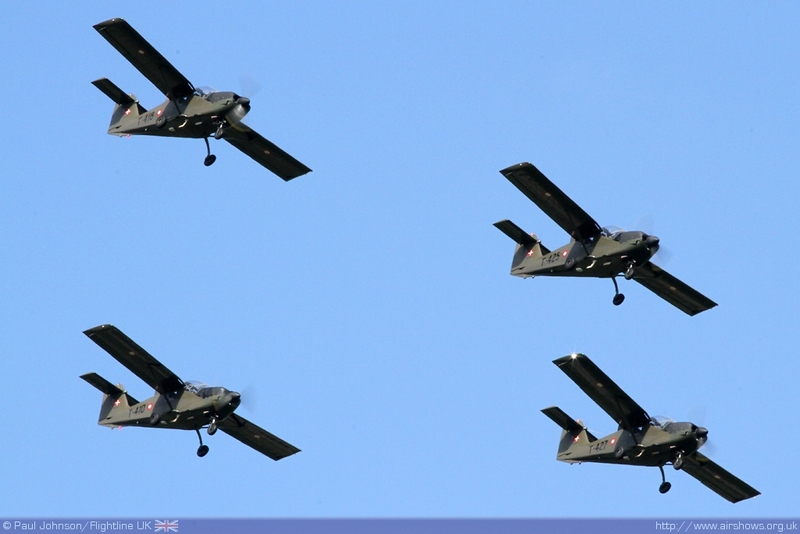 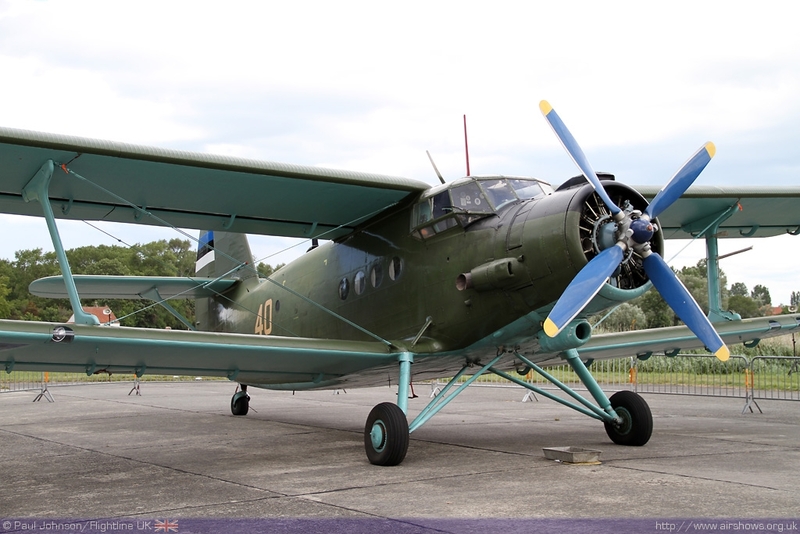 Perhaps the most quirky was an Estonian Air Force Antonov An-2 biplane. The aircraft looked absolutely pristine in its green and grey paint scheme and is still used as a general utility and para-dropping platform. 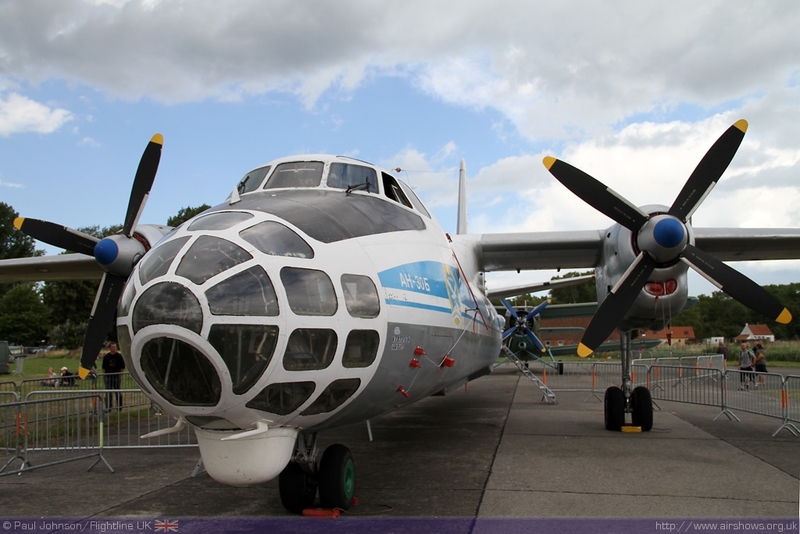 It was parked with a Ukrainian Air Force Antonov An-30 ‘Clank’ which proved a popular walk-through attraction for the crowds. 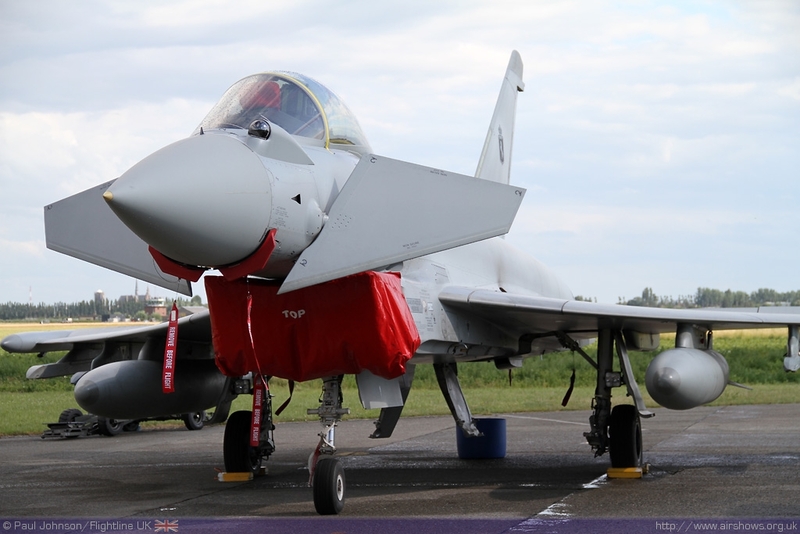 The static park also featured Eurofighter Typhoons from the Italian Air Force and Luftwaffe as well as three different F-16s from Belgian Air Component, two wearing special markings. 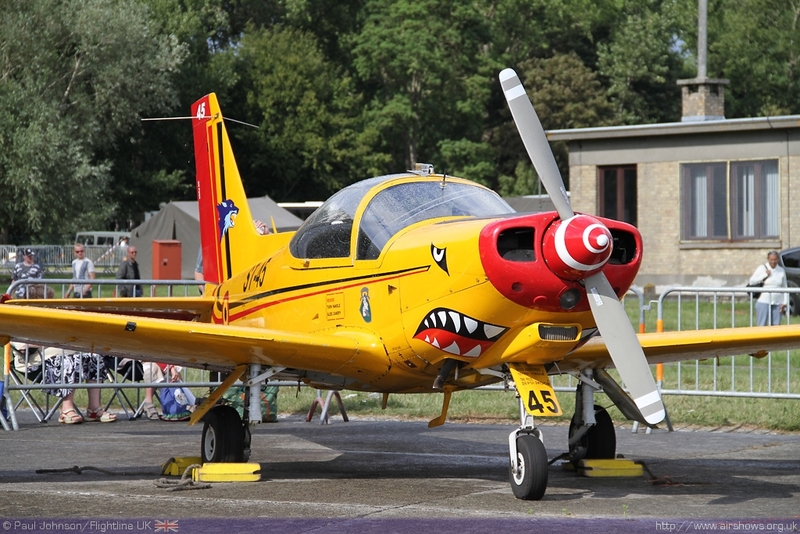 The Belgian Air Force’s history was also well represented by a collection of Piper Cubs, Stampes and various other types. 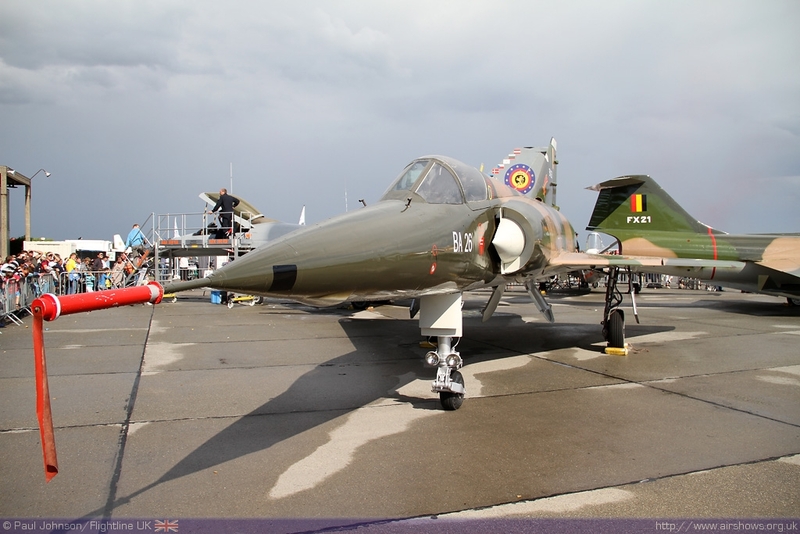 However stars of the static park were beautifully preserved examples of a F-104 Starfighter and the Dassault Mirage V.
The flying displays presented a very diverse mix of displays. 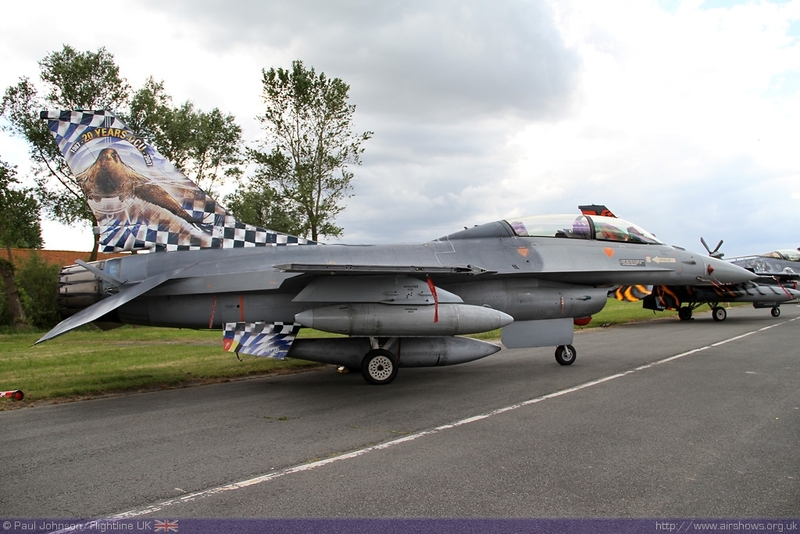 There was of course a major part of the display given over to the history of the Belgian Air Component. 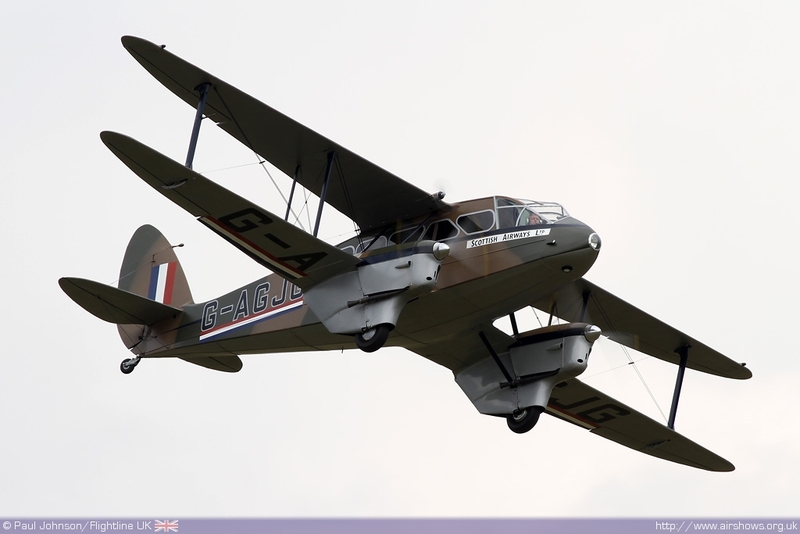 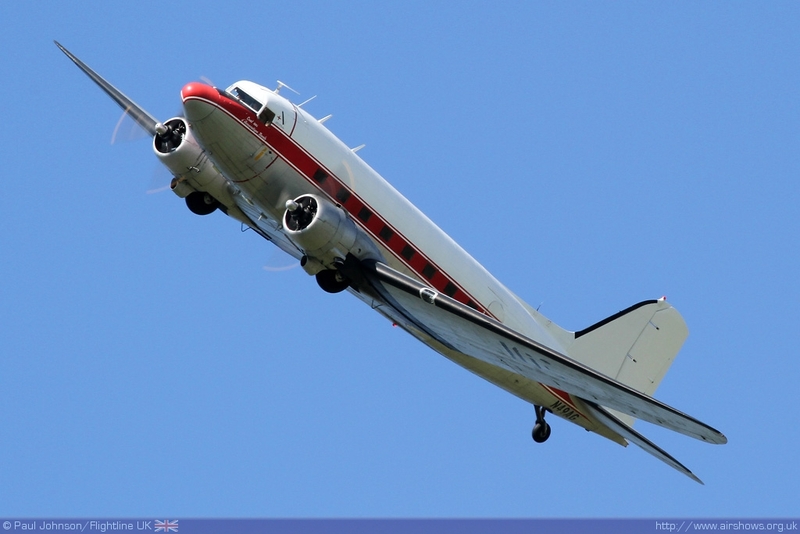 Famous types from the Air Force’s past such as the SV4 Stampe, Spitfire and DC-3 Dakota featured with flypasts with their modern day counterparts. 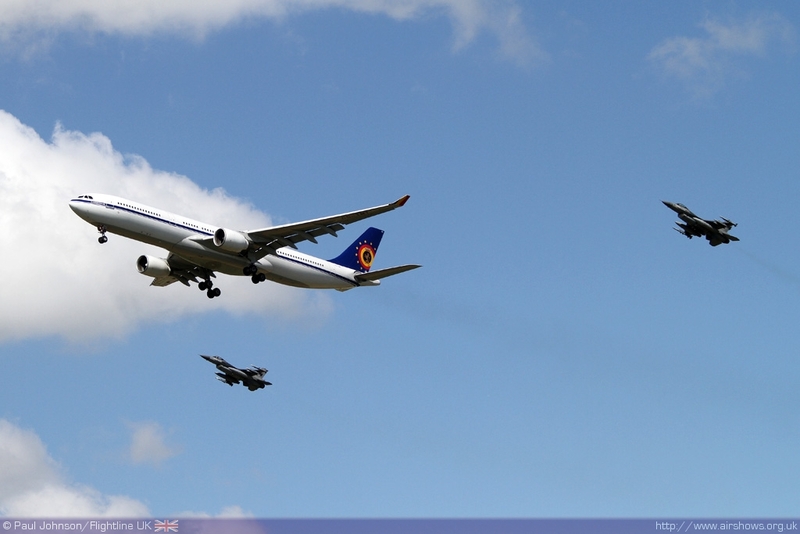 That saw the Stampe fly in formation with one of the Belgian Red Devils SIAI Marchetti SF260, the Douglas DC-3 flying with a Belgian Air Component C-130H Hercules and the Royal Netherlands Air Force Spitfire IX paired with the Belgian F-16AM Fighting Falcon solo display aircraft. 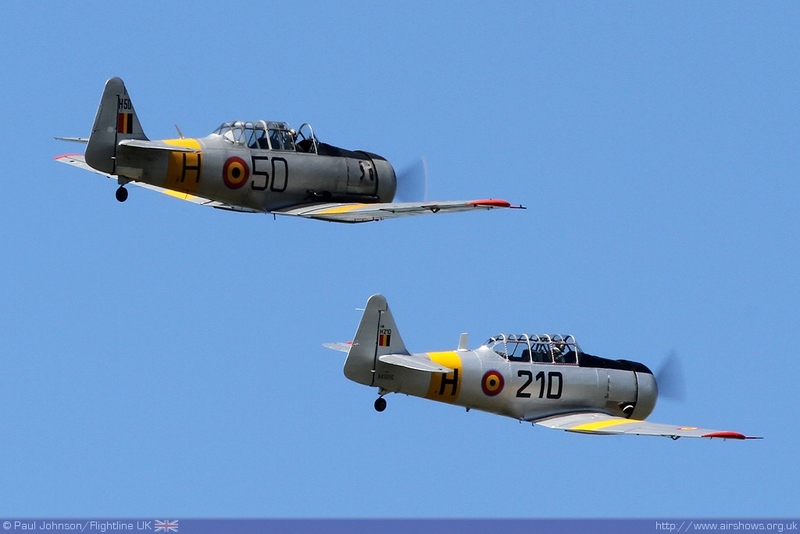 There was also a pair of T-6 Texans wearing the markings of the Belgian Air Force and Mark Miller’s De Havilland Dragon Rapide. 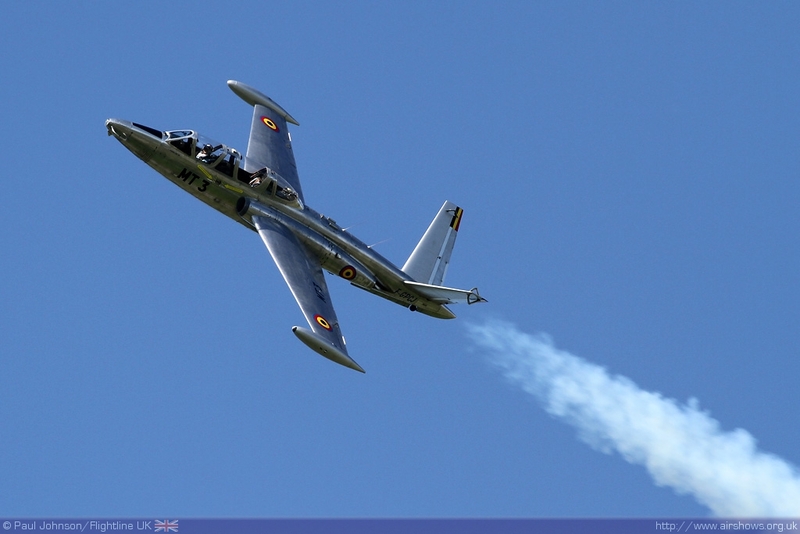 The early jet age of the Belgian Air Force was celebrated by number of classic jet solos. 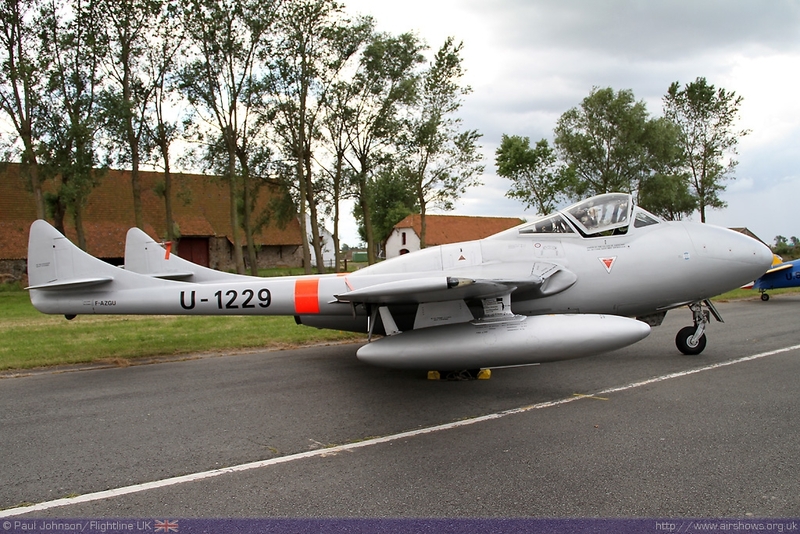 Dan Griffiths flew Air Atlantique’s beautiful Armstrong Whitworth Meteor NF11 to represent Belgium’s first fast jet operations. 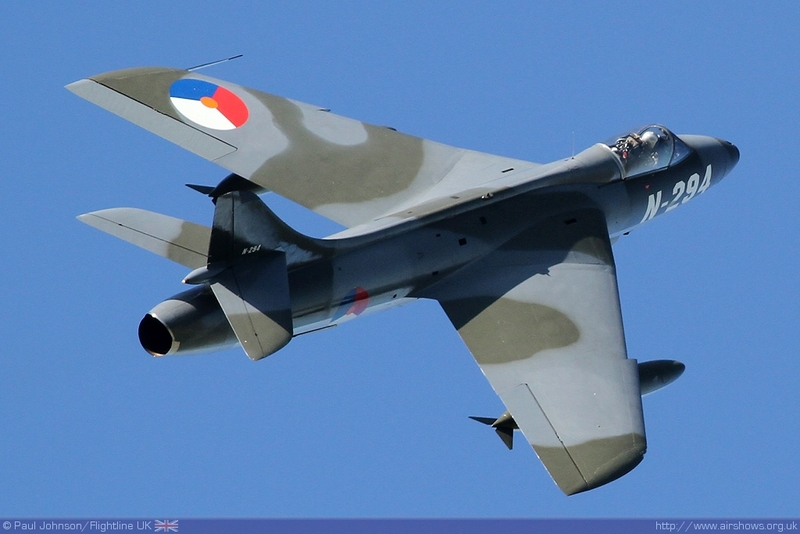 The Dutch Hawker Hunter Association also displayed its Hawker Hunter F6 in flamboyant style. 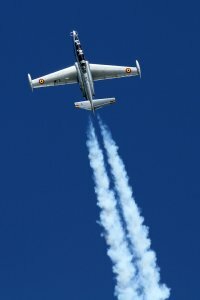 One of the most eye catching displays however was that given by a stunning bare metal Fouga Magister wearing Belgian markings and displaying with an impressive smoke system. 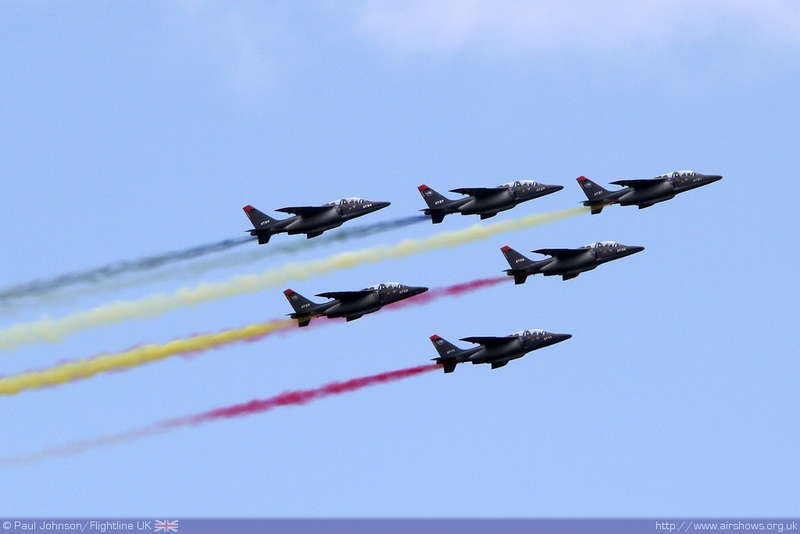 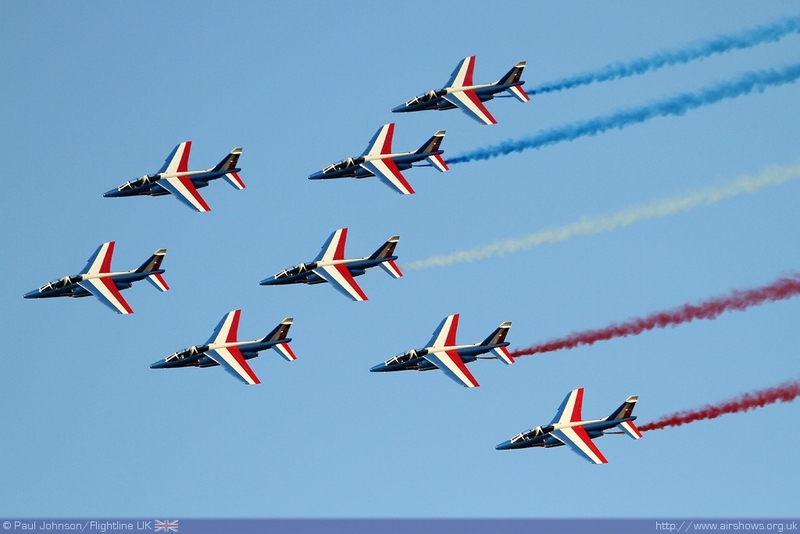 Another rare item was the “Smoke Pass” by six Dassault Alpha Jets. 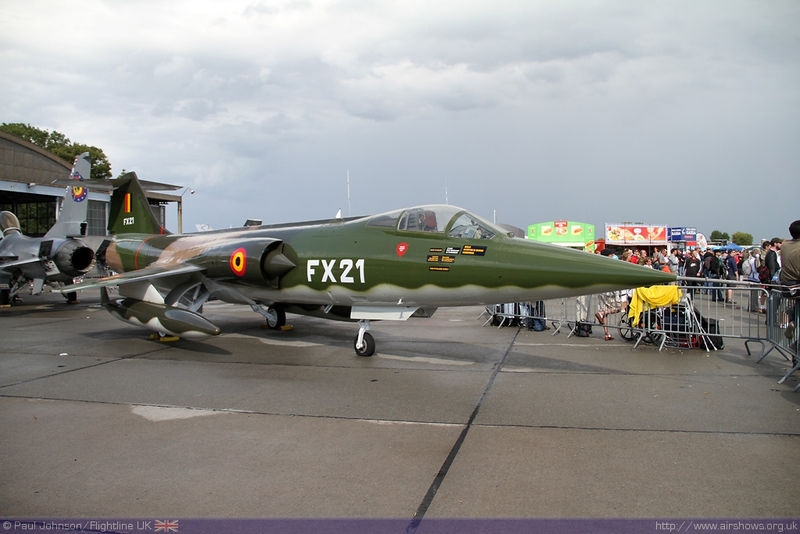 The aircraft came from the combined Belgian and French Air Force training schools and were specially fitted with smoke generators for the show painted the Belgian nationals colours in the sky over the crowd. 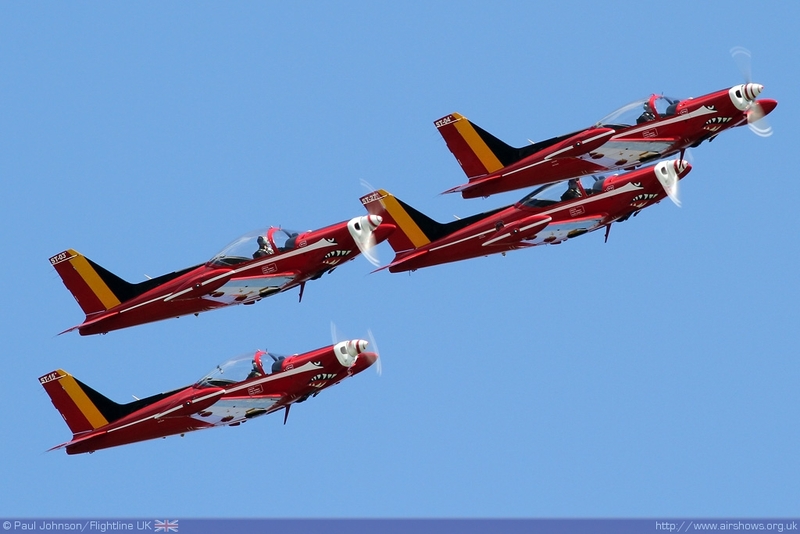 Completing the Belgian military involvement in the show were the Red Devils team with four SIAI Marchetti SF260s. 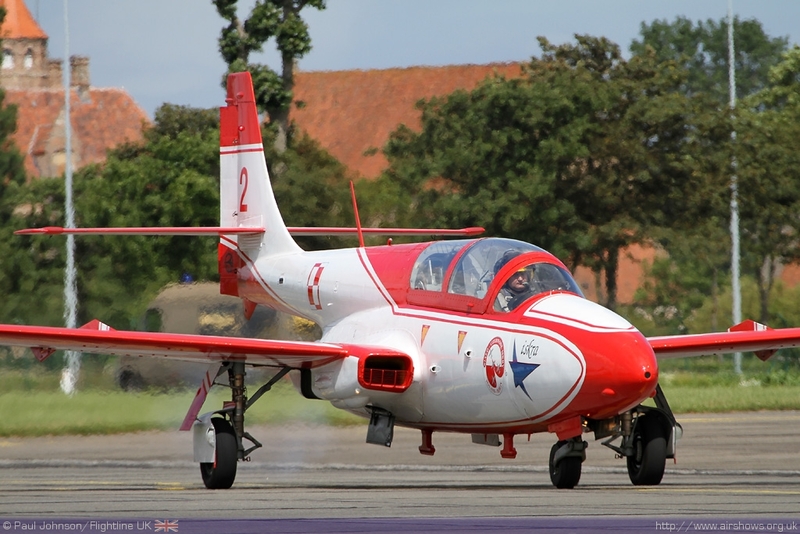 Last year the team were called “Hardship Red” but in this anniversary year have revived the name of the famous Belgian national display team. 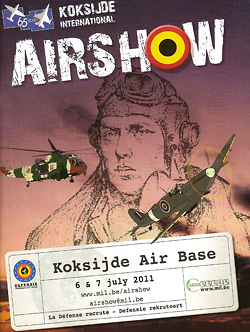 Koksijde attracted a large selection of “international” acts. 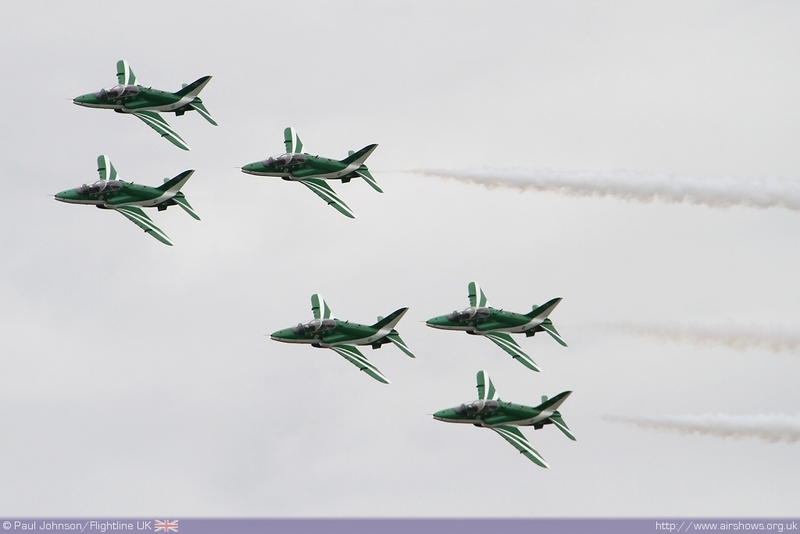 By far the strongest contingent came from the Royal Air Force. 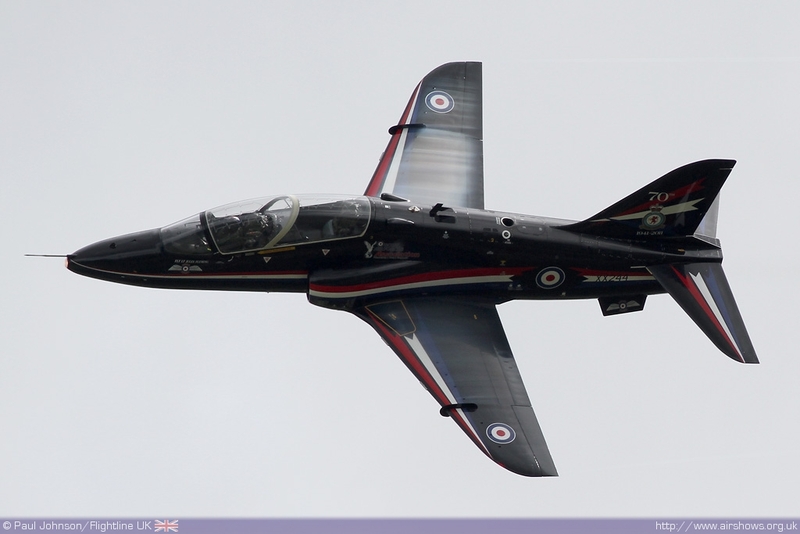 The Tucano, Hawk and King Air solos all participated as well as the Tornado GR4 role demonstration. 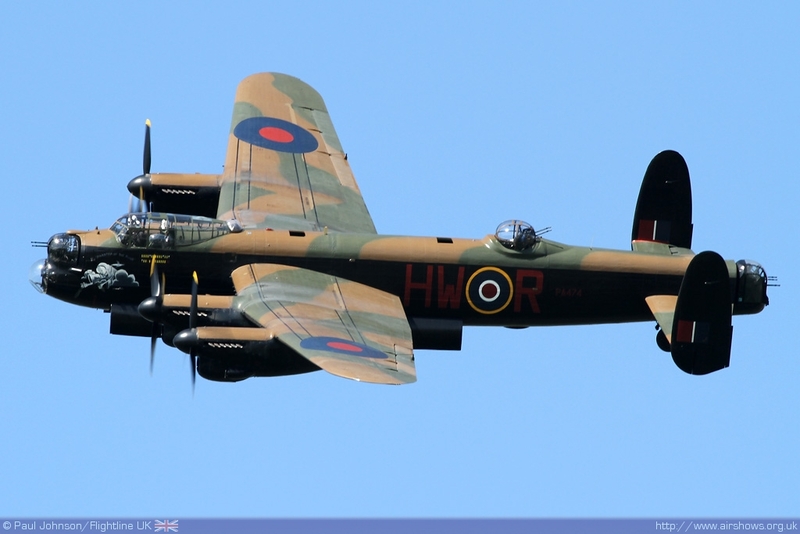 The Battle of Britain Memorial Flight also made a very rare international trip with their Lancaster on the Wednesday. 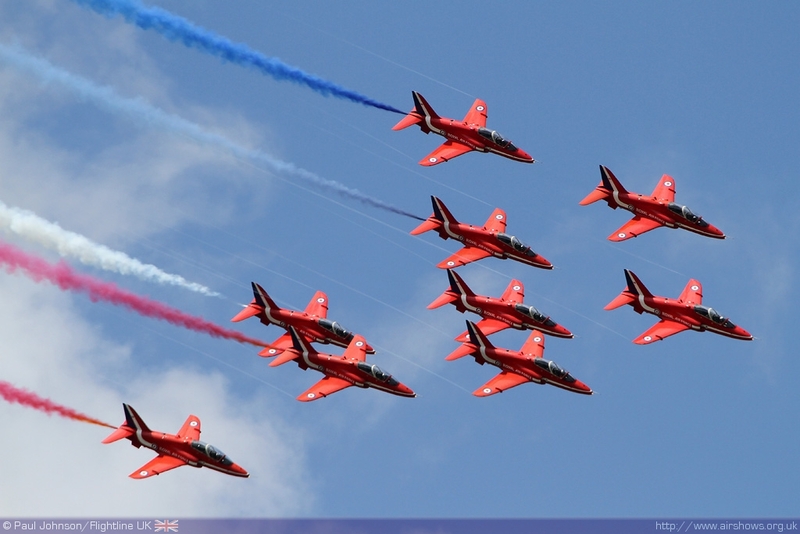 The Red Arrows also appeared on both days touring in from the UK! 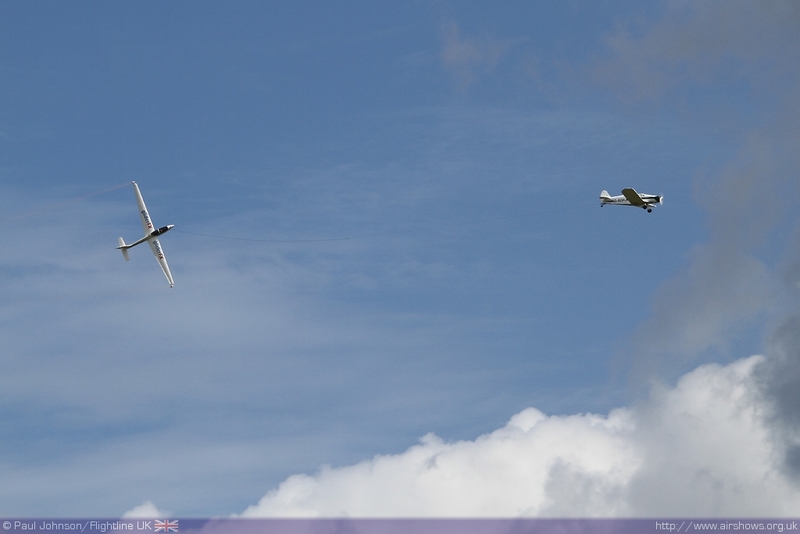 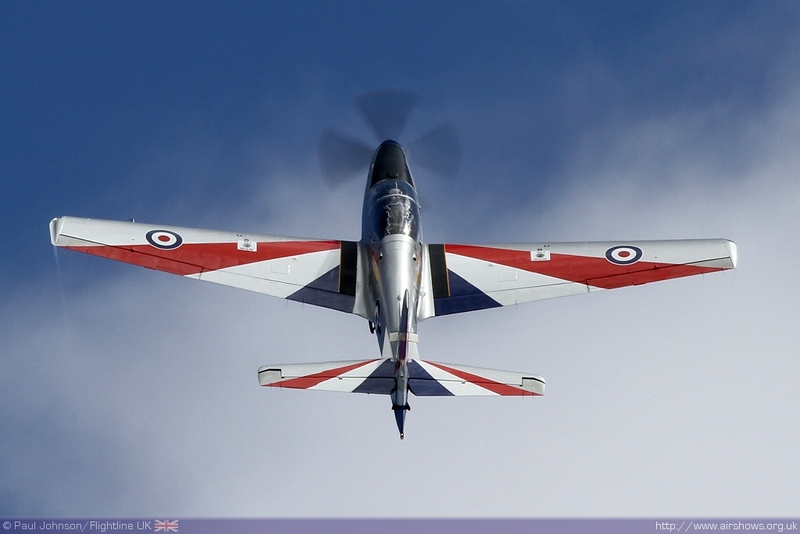 Also from the UK was one of the very few civilian displays, the GliderFX Display Team. 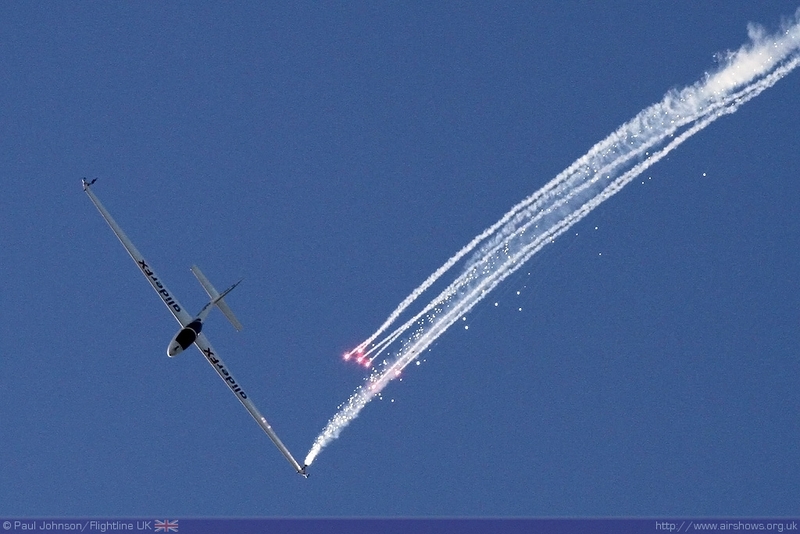 On Wednesday evening the team performed one of their special twilight shows with pyrotechnics fitted to the wings of the glider which now included volleys of red stars as well as the shower of sparks. 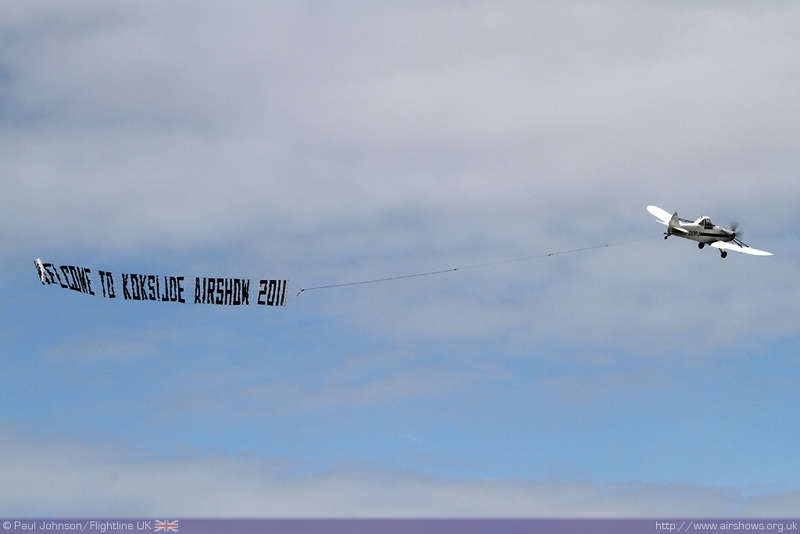 The team also performed a banner tow at the start of each days flying. 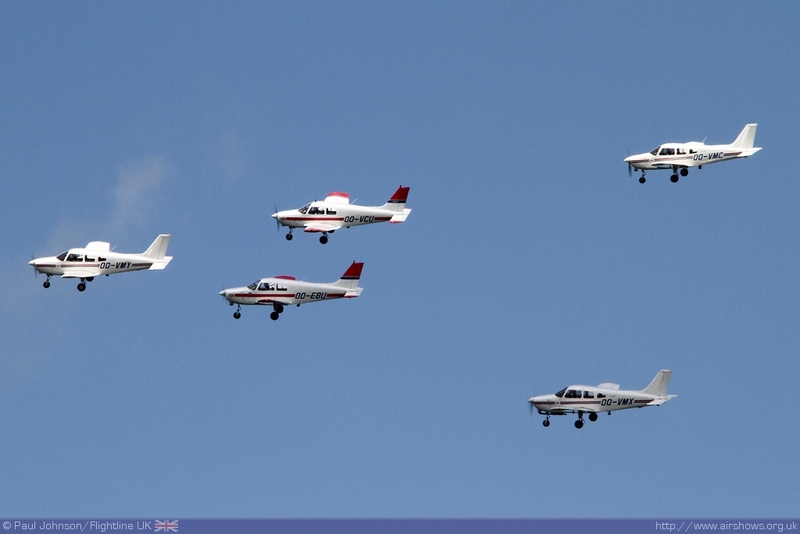 The only other civilian acts were a local Extra 300 display and the Victors Formation Team flying five Piper Cherokees. 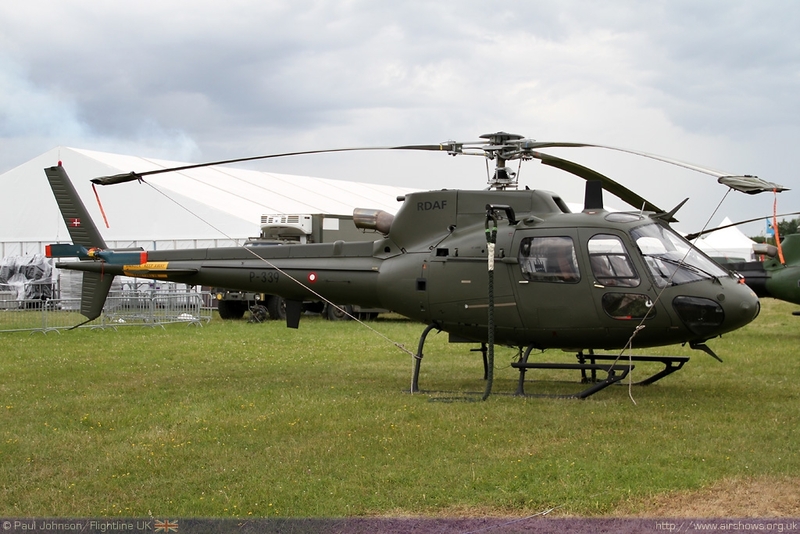 There were a couple of very interesting helicopters from international participants. 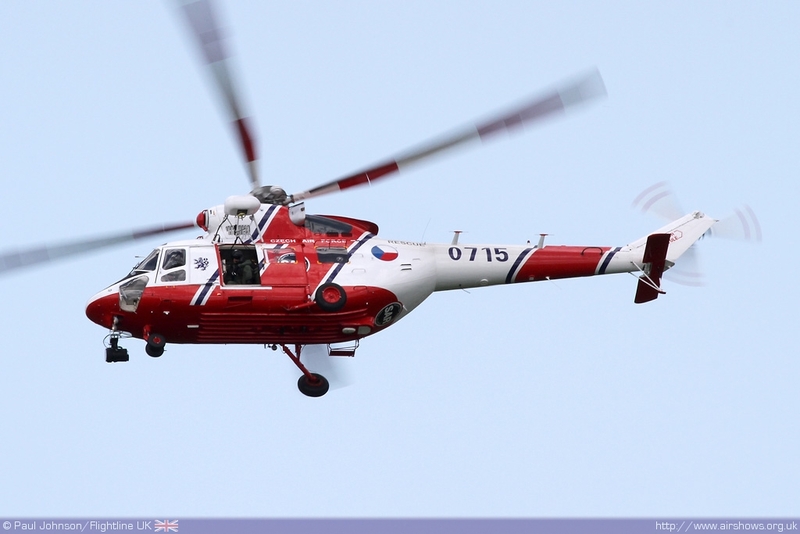 The Czech Air Force provided its PZL W3 Sokol Search and Rescue Helicopter for the display which provided a very impressive display of agility within a very small space. 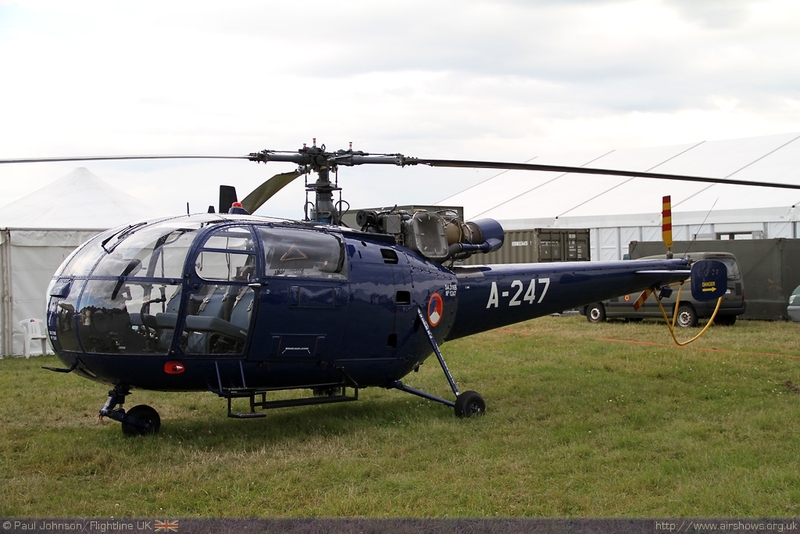 The Austrian Air Force also displayed a solo Alouette III which despite its age put on a pleasing display finishing with a pass with flags dangling from its winch. 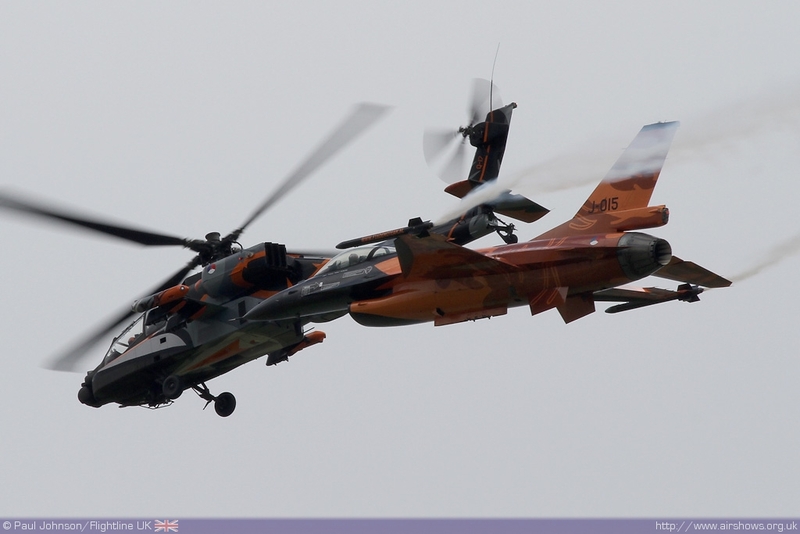 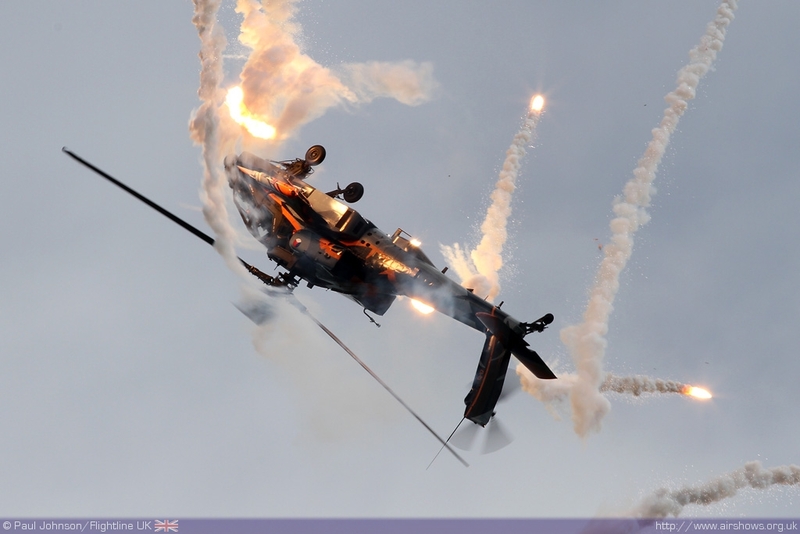 The Royal Netherlands Air Force sent its flare firing AH-64D Apache solo display which appeared towards the end of Thursday’s display. 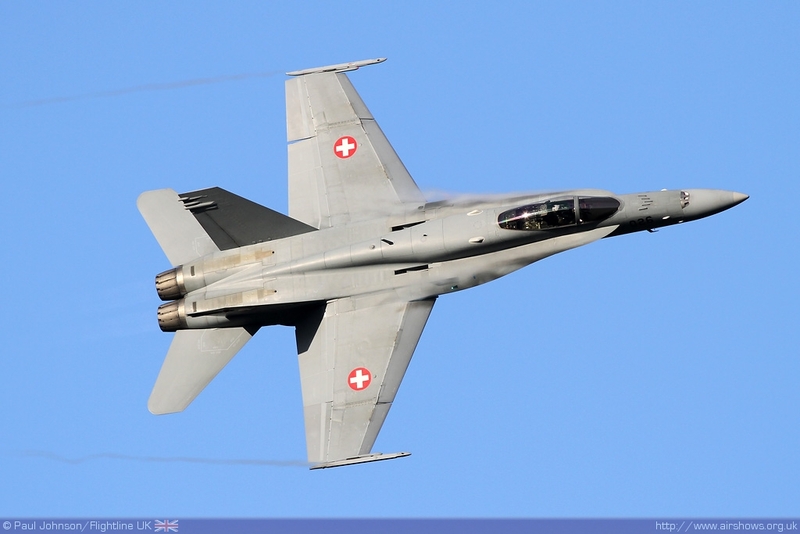 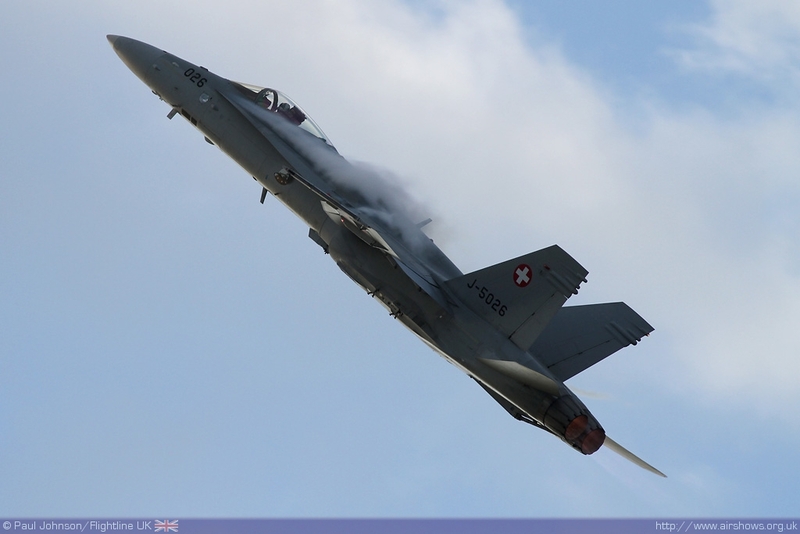 As well as the UK fast jet displays, some serious turning and burning came from the Swiss Air Force F/A-18C Hornet and the Royal Netherlands Air Force F-16AM Fighting Falcon. 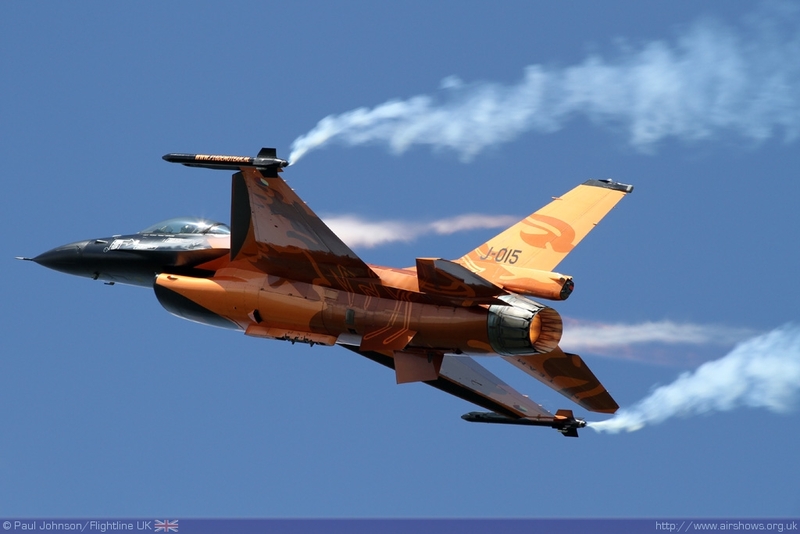 The Hornet flew its usual stunning display of impossibly tight turns and high angle of attack turns and aerobatics while on Thursday only the Dutch F-16 concluded its display with an amazing formation flypast with the Dutch AH-64. 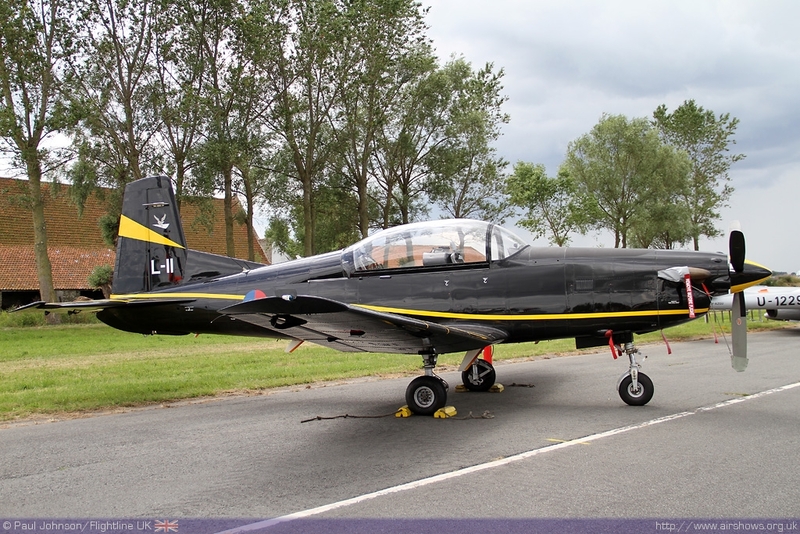 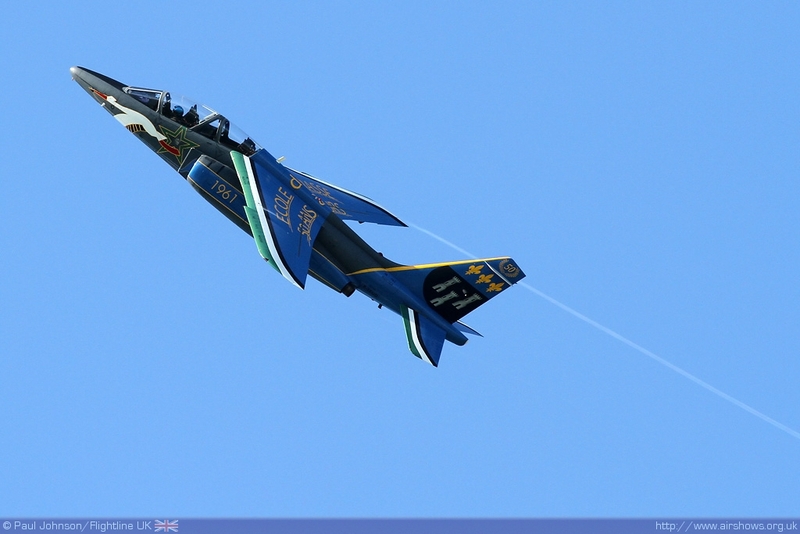 The French Air Force also supplied its Alpha Jet E solo display which for 2011 is wearing some rather bright special markings. 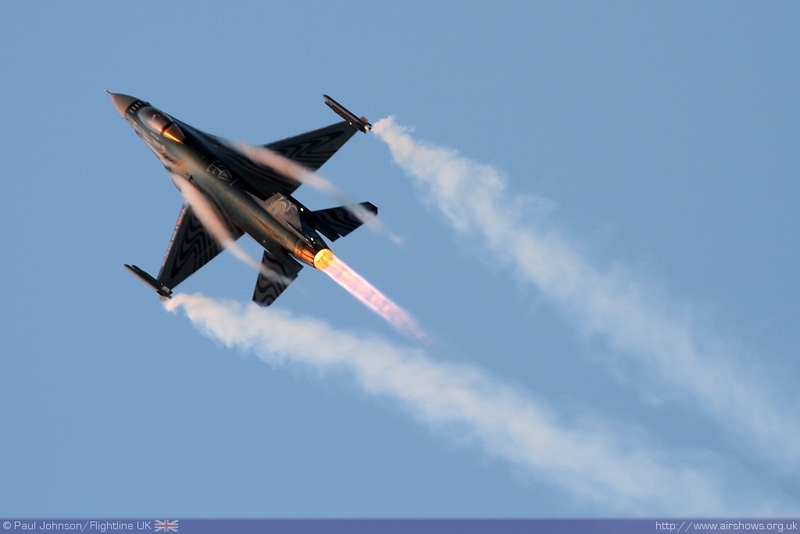 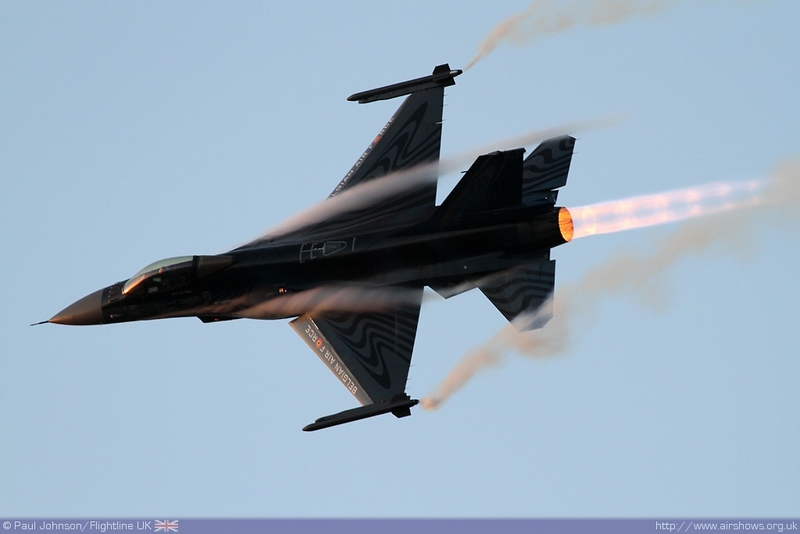 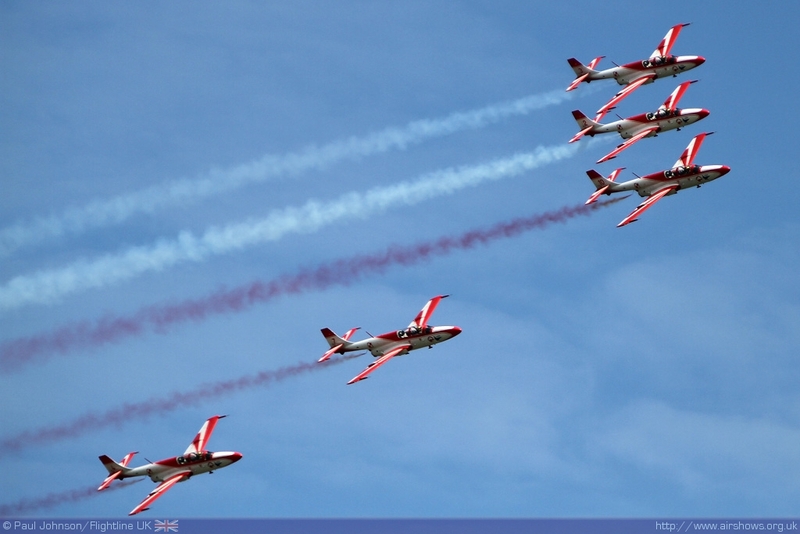 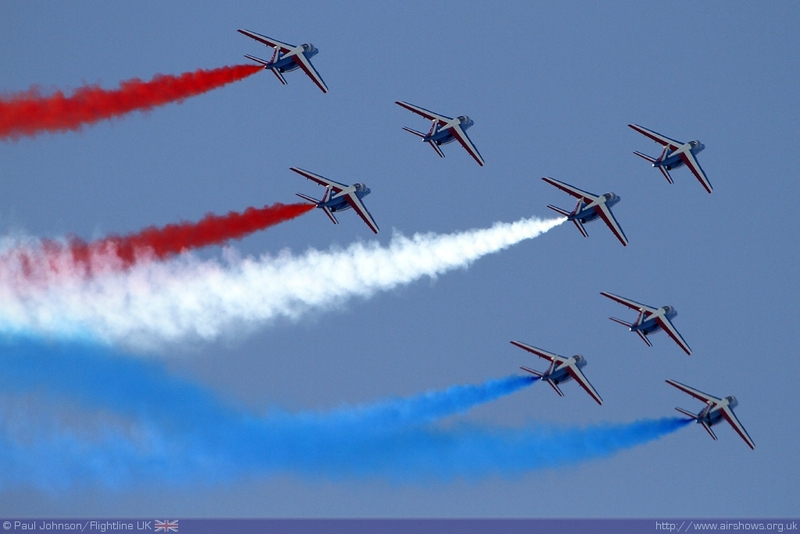 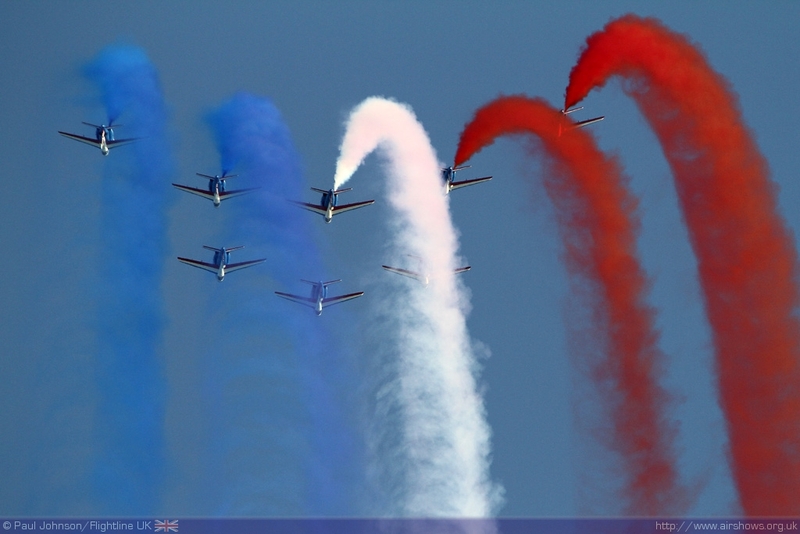 However, the biggest headline from the Koksijde International Airshow was the number of national display teams in the flying displays representing Europe, the Middle East and North America. 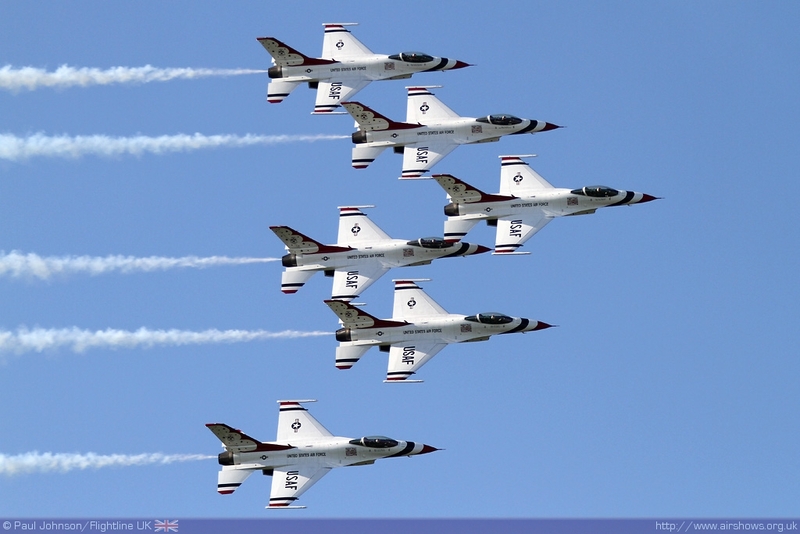 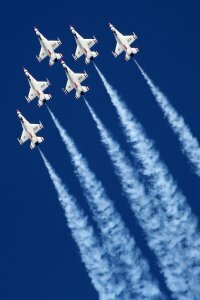 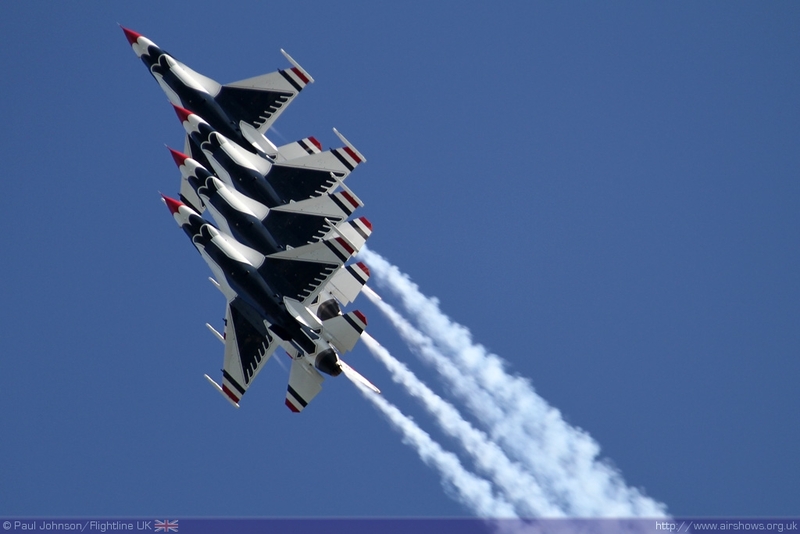 By far the biggest attraction was the United States Air Force Thunderbirds team which were appearing at their last venue of the European tour. 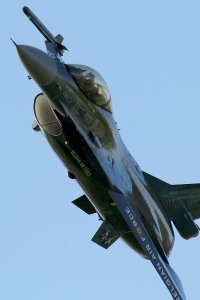 Wednesday evening’s stunning clear skies also allowed the team to present their full display which is such a novelty with European conditions. 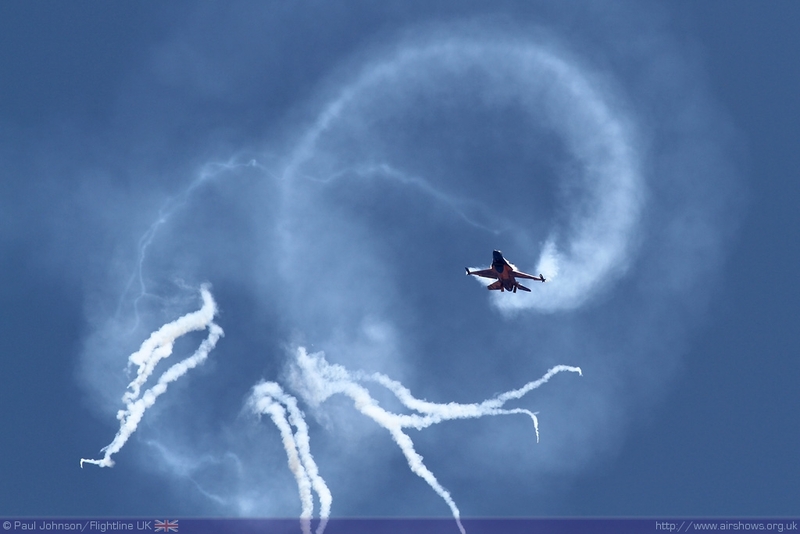 Also performing in the early evening light were the Patrouille de France whose smoke trails looked stunning against the setting sun. 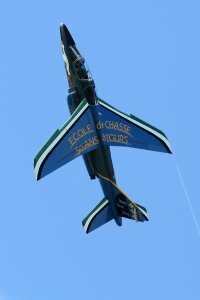 The range of display teams was very varied. 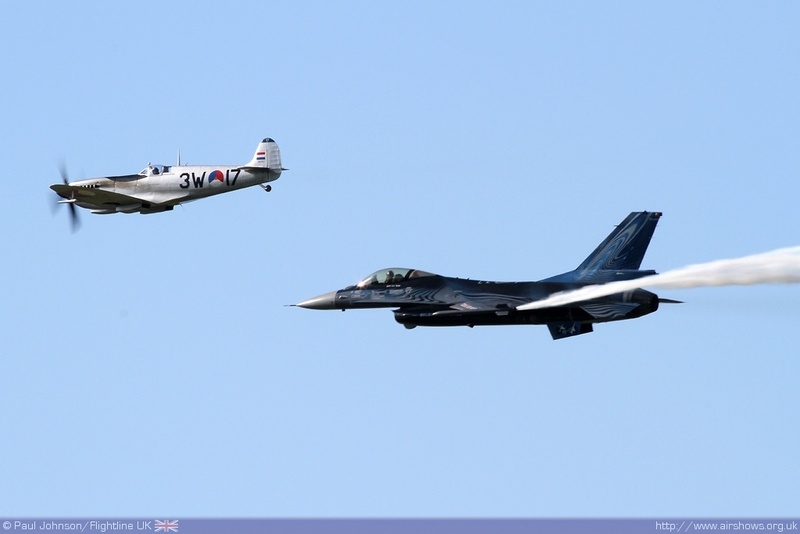 The Royal Danish Air Force was represented by the ‘Baby Blue’ Display Team flying their SAAB T-17 Supporters which were a great contrast with powerful F-16s of the Thunderbirds. 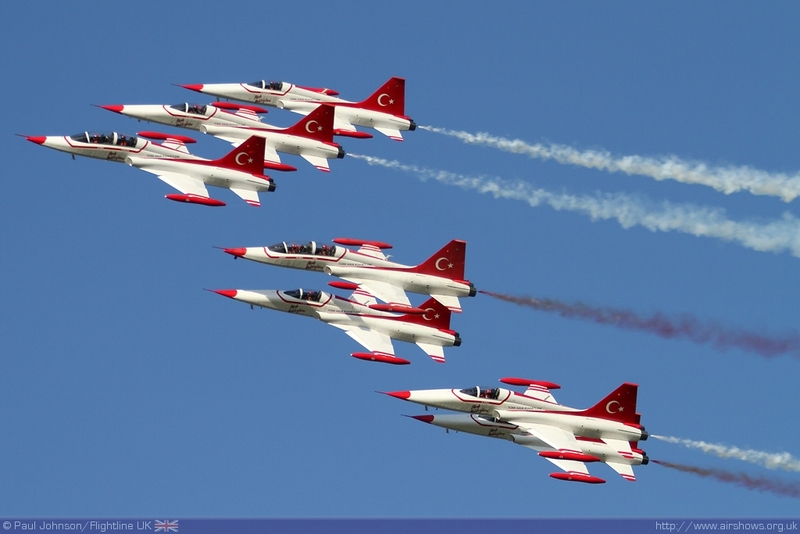 The Turkish Air Force, also celebrating its own 100th Anniversary, brought its own Turkish Stars team with their iconic NF-5A/B Freedom Fighters. 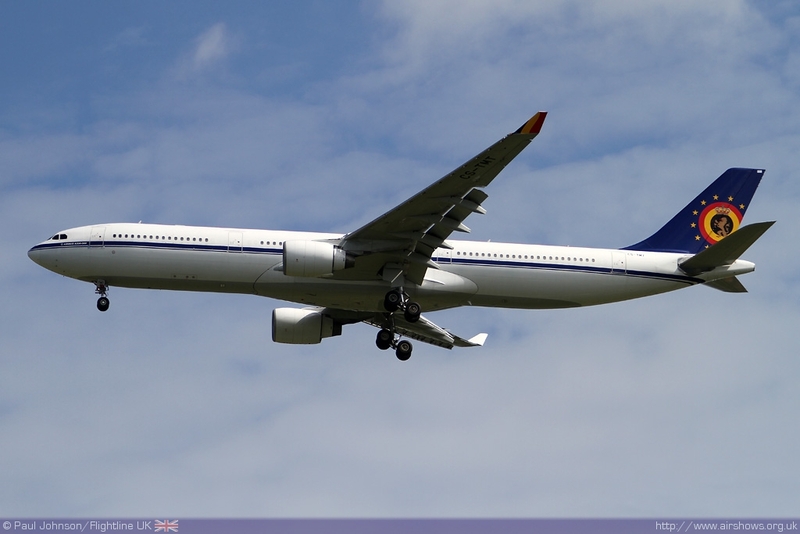 The team were only scheduled to appear on the Wednesday. 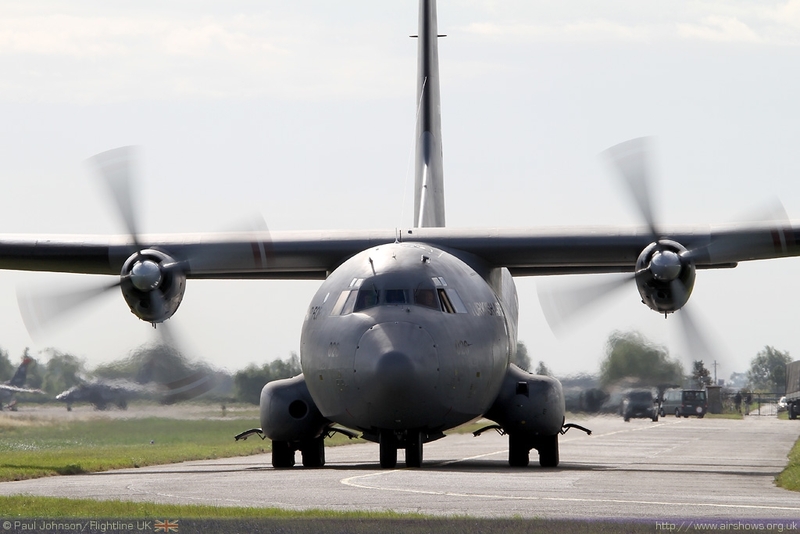 Thursday saw the team preparing for departure and the crowds were treated to no less than three support C-160 Transalls arriving to recover the teams equipment back to Turkey! 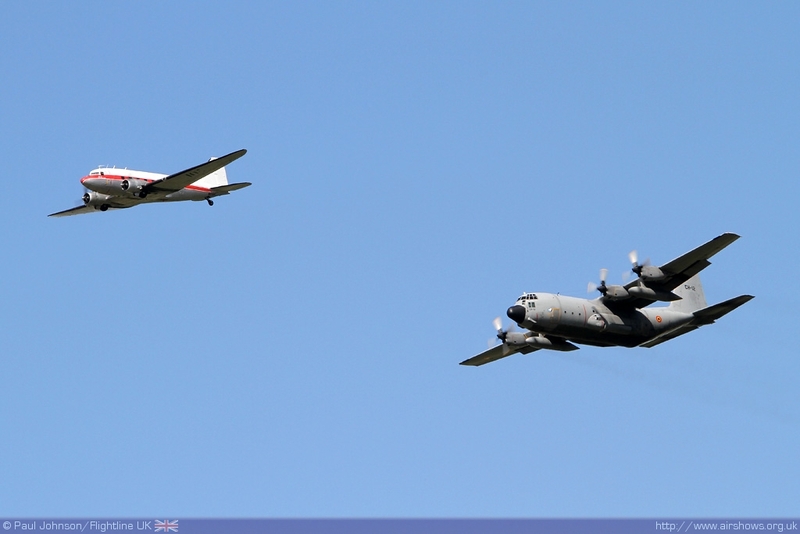 The eastern theme was continued by two further teams. 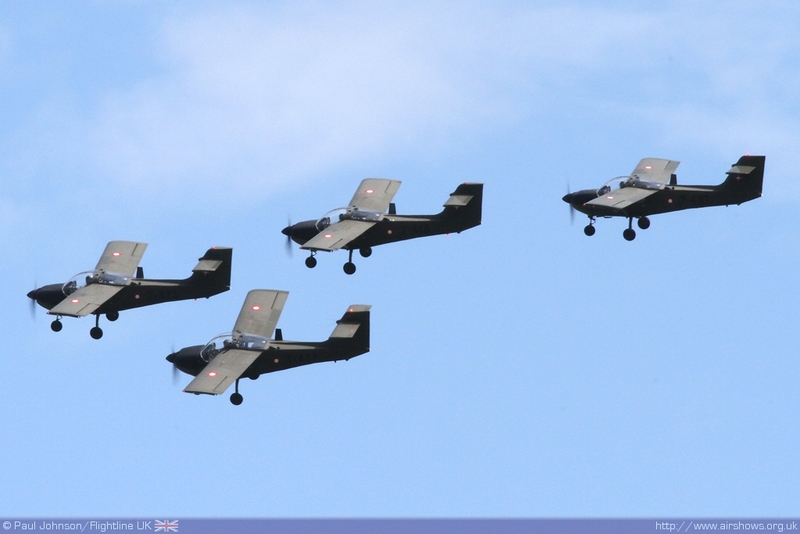 Eastern Europe were represented by the Polish Air Force ‘Team Iskry' flying five TS-11 Iskra Jets which were making a rare visit to Western Europe. 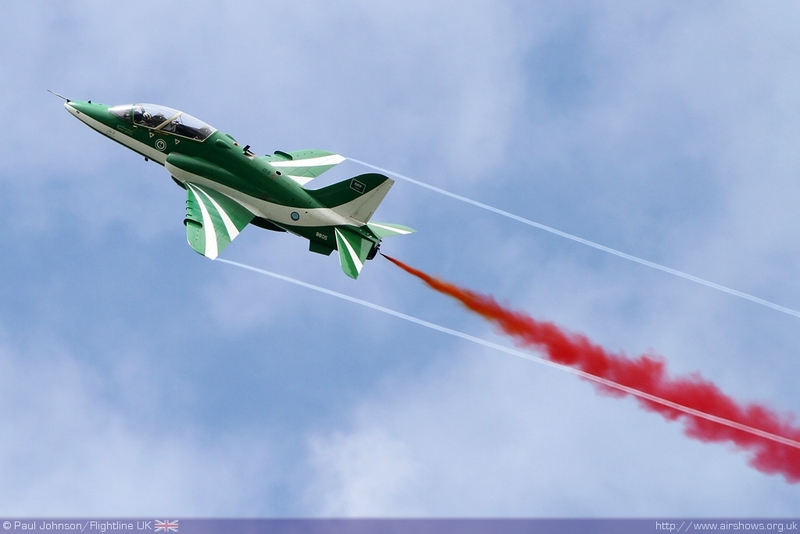 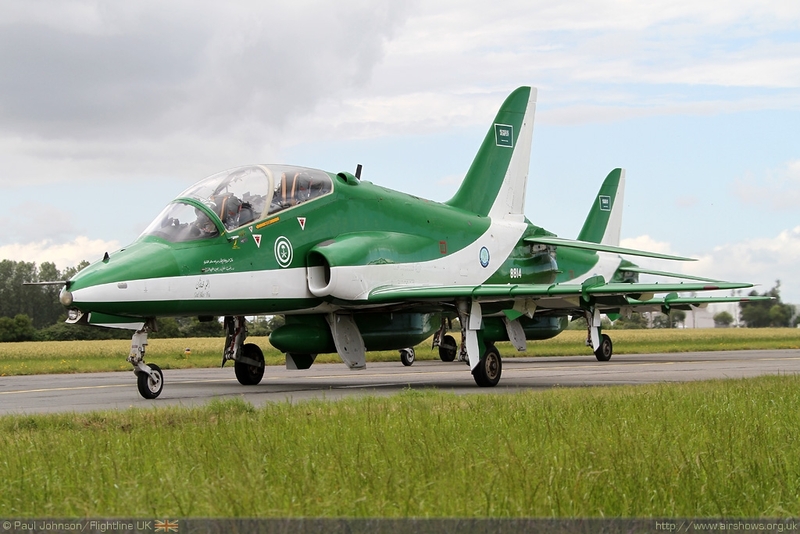 It was great to finally see the Royal Saudi Air Force’s ‘Saudi Hawks’ Display Team display in Europe. 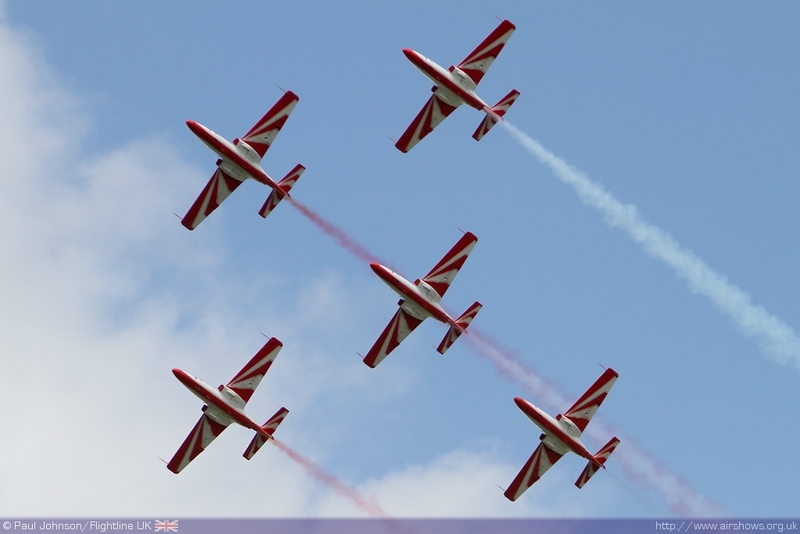 The team had been at the AirPower show in Austria the week before and Koksijde marked the mid-point of the team’s ‘Goodwill Tour’ of Europe. 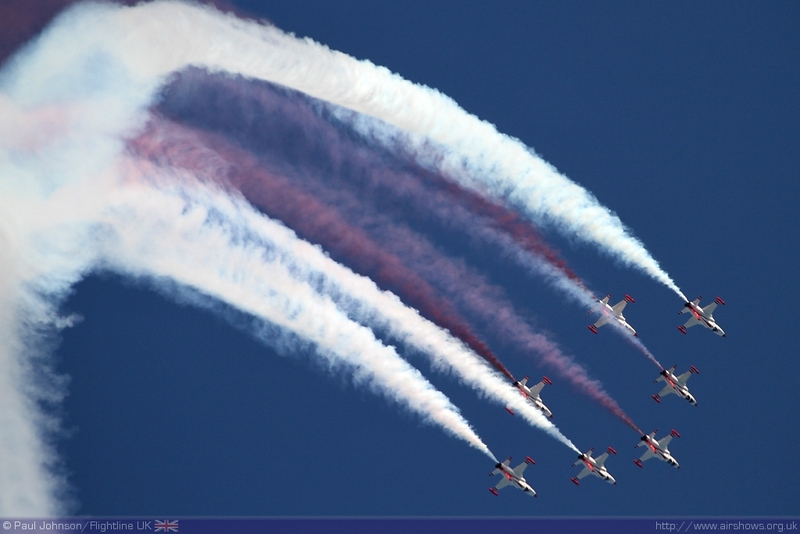 The team perform a very different display to that of most European teams with most of their formations design to paint Saudi national images in the sky. That makes some of their larger formation look very unusual with larger gaps between their aircraft but does mean they are a very interesting and enjoyable team to watch. 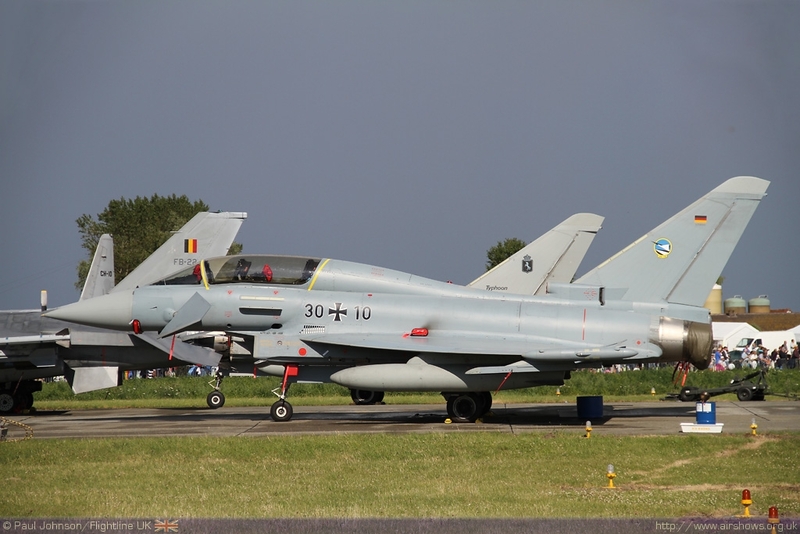 The Koksijde International Airshow was a massive event, and certainly delivered an impressive show for the thousands of visitors and a superb celebration of the exploits of the Belgian Air Force. 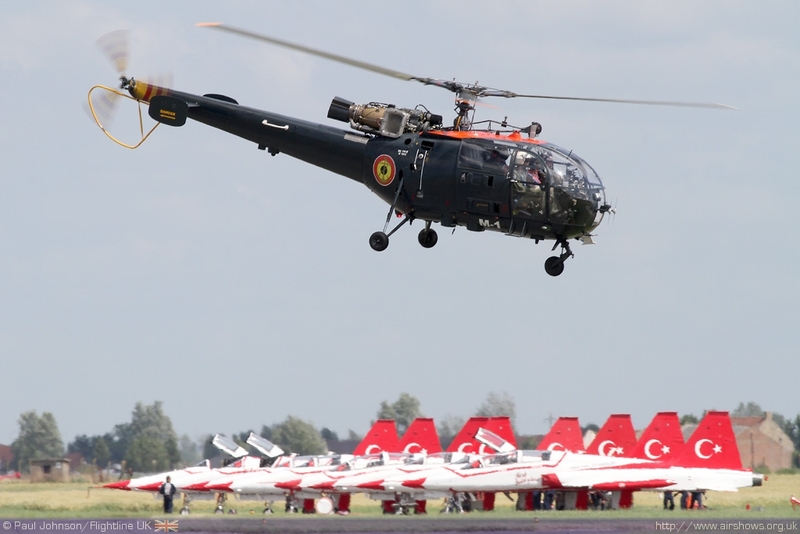 While it may have been slightly overshadowed by the Turkish Air Force show earlier in the year, it was without doubt one of the very best and biggest airshows in Europe this year. 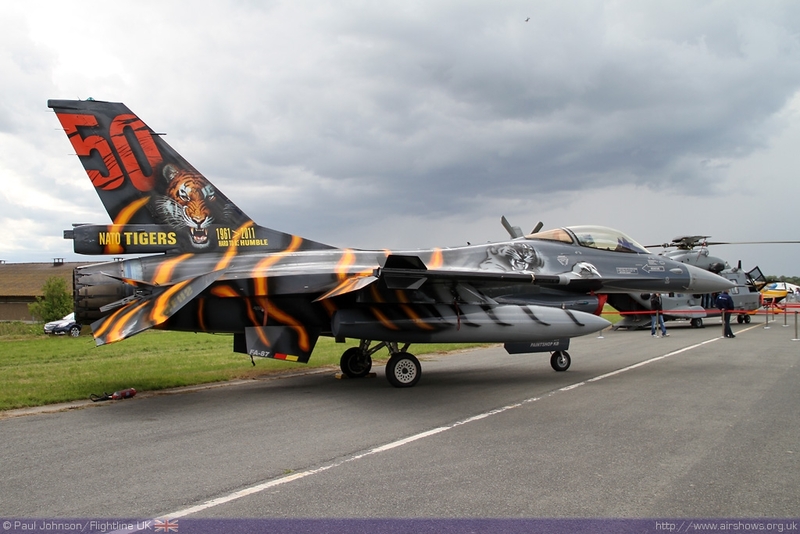 Perhaps the most incredible fact about the show was the entrance cost – just 10 euros for an adult. 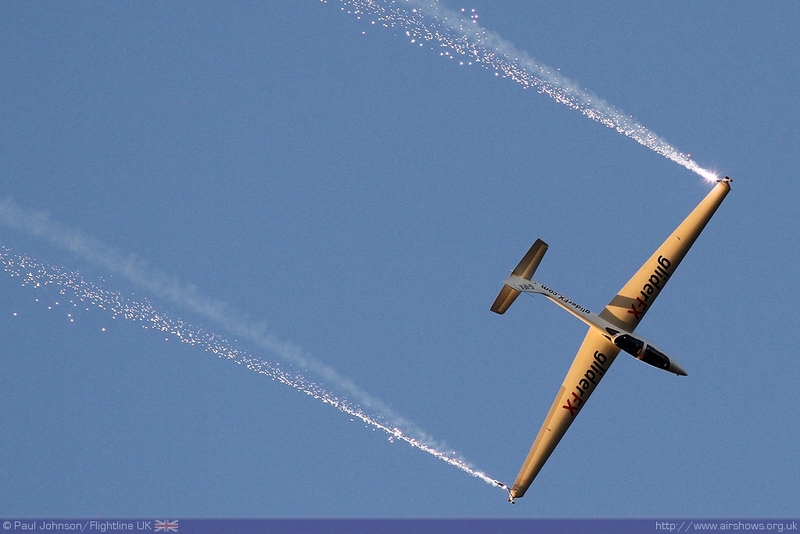 Compared to UK shows this represents incredible value for money considering the breadth of the event.